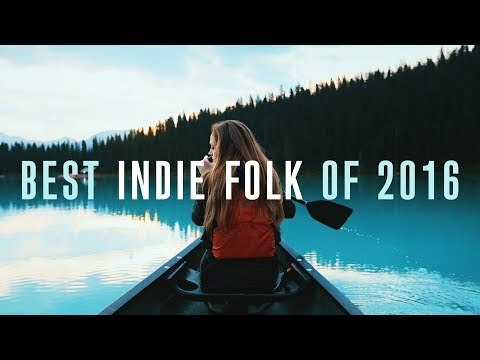 Best Indie Folk Of 2016....! 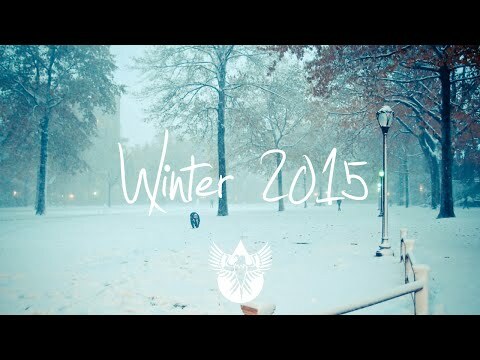 Watch the snow fall with an hour of the best wintery indie music. Tracklist below… Subscribe to be the first to hear the best new independent music! 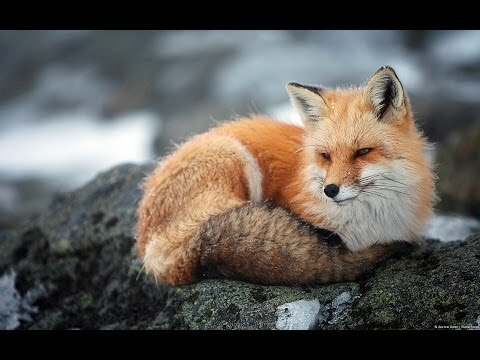 http://bit.ly/145fFnx Please contact alexrainbirdmusic@gmail.com if you’d like your band to be featured on my channel. Tracklist: 0:00 WILD -- ‘Bonnie & Clyde’ https://www.facebook.com/wildofficialus https://soundcloud.com/wildla Download: http://amzn.to/1jgUcPW 2:42 Cinders -- ‘Last Year’s Winter’ https://www.facebook.com/cindersmusic http://www.cindersmusic.com/ Download: http://soundcloud.com/cindersmusic 5:55 Anthem Academy -- 'We Carry On’ https://www.facebook.com/anthemacademy https://soundcloud.com/anthemacademy Download: N/A 9:20 Alex Brittan -- ‘Technicolour’ https://www.facebook.com/alexbrittanm... https://www.youtube.com/user/jeumort Instagram: @alexbrittan http://soundcloud.com/alexbrittan Download: https://alexbrittan.bandcamp.com/trac... 12:42 Franklin Boone -- 'Butterfly' https://www.facebook.com/franklinboon... http://franklinboonemusic.com/ Download: http://amzn.to/1Hj4kDs 17:48 Evenlee -- 'The Familiar’ https://www.facebook.com/evenleeband http://evenleeband.com/ Download: http://amzn.to/1QEAR9T 21:42 East Love -- ‘Better Than Being With You’ https://www.facebook.com/eastloveband https://soundcloud.com/eastloveband Download: http://amzn.to/1TaXO2W 25:41 Nick Lopez -- ‘Moving On’ https://www.facebook.com/nicklopeztunes https://soundcloud.com/nicklopezmusic Download: https://soundcloud.com/nicklopezmusic... 28:37 Katie & I -- ‘Wolves (Live)’ https://www.facebook.com/katieandioff... https://soundcloud.com/katie-and-i Download: https://itun.es/gb/xZti_ 32:39 Wild Rivers -- ‘Wandering Child’ www.facebook.com/wildriversband https://soundcloud.com/wildriversband Twitter/Instagram: @wildriversmusic Download: https://soundcloud.com/wildriversband... 35:38 The Lunar Year -- ‘Little Lamb’ https://www.facebook.com/The-Lunar-Ye... https://soundcloud.com/thelunaryear Download: https://itunes.apple.com/us/album/rev... 39:39 Jenny Banai -- ‘Here’ https://www.facebook.com/jenny.banai http://jennybanai.com/ Download: http://amzn.to/1QECrIY 43:29 Little India -- 'Like Vineyards' https://www.facebook.com/LittleIndiaB... https://littleindiaband.bandcamp.com/... Download: http://amzn.to/1XmHA7u 47:03 Lions Head -- ‘Firecracker’ https://www.facebook.com/lionsheadmusic https://soundcloud.com/lions-head https://play.spotify.com/album/735JqC... Download: N/A 49:59 Jeff Samson -- 'I Saw The Devil' https://www.facebook.com/music.jeffsa... https://soundcloud.com/jeff-samson Download: http://jeffsamson.bandcamp.com/ 52:56 Morningsiders -- 'Dots' https://www.facebook.com/Morningsiders https://soundcloud.com/wearemorningsi... Download: https://morningsiders.bandcamp.com/ 57:03 Blackbird Peregrine -- ‘I’m Coming Home’ https://www.facebook.com/blackbirdper... https://soundcloud.com/blackbirdpereg... Download: https://itunes.apple.com/se/artist/bl... 1:00:19 Holly Drummond -- ‘Battle Lines’ https://www.facebook.com/HollyDrummon... http://www.hollydrummond.com/ https://twitter.com/Holly_Drummond https://soundcloud.com/hollydrummond Download: http://bit.ly/BattleLinesUK / http://bit.ly/BattleLinesUSA 1:04:24 Digvalley -- ‘I Can’t Tell’ https://www.facebook.com/digvalley https://soundcloud.com/digvalley Download: https://itunes.apple.com/no/album/i-c... 1:08:56 Anthem Academy -- ‘You Never Know’ https://www.facebook.com/anthemacademy https://soundcloud.com/anthemacademy Download: http://amzn.to/1R216qe Find alexrainbirdMusic on: Official website: http://www.alexrainbirdmusic.com/ Facebook: https://www.facebook.com/alexrainbirdMusic Twitter: https://twitter.com/alxrnbdMusic Spotify: https://play.spotify.com/user/alxrnbrdmusic/playlist/5kiNj8BLGBfKLwASSxLu2U Soundcloud: https://soundcloud.com/alexrainbirdmusic Instagram: https://instagram.com/alexrainbirdmusic/ Official merchandise - US & worldwide customers: http://shop.spreadshirt.com/alexrainbirdMusic/ UK customers: http://shop.spreadshirt.co.uk/alexrainbirdmusic About alexrainbirdMusic: Since 2011, Alex Rainbird has been hunting down and showcasing the very best in independent music. Featuring over 45 new artists a month, Alex hopes to provide a platform for underrated musicians to be heard and for viewers to find their new favourite band. Join Alex's +54,000 subscribers today to be the first to hear the finest independent music. 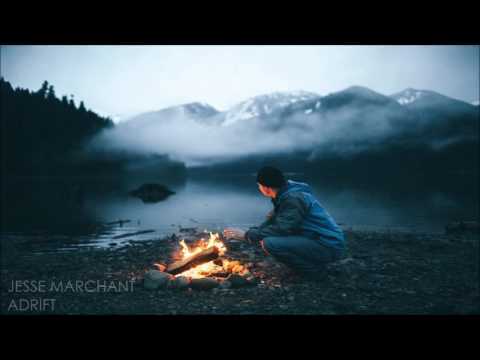 Relax in the sunshine with over an hour of stunning indie-folk music. Tracklist and download below… DOWNLOAD: http://hyperurl.co/SummerIndieFolk Subscribe to be the first to hear the best new independent music! http://bit.ly/145fFnx Please contact alexrainbirdmusic@gmail.com if you’d like your music to be featured on my channel. DOWNLOAD THIS COMPILATION: http://hyperurl.co/SummerIndieFolkDL Tracklist: 0:00 Zac Saber -- ‘Soak Up The Sun’ https://www.facebook.com/zacsabermusic https://soundcloud.com/zacsaber Download: http://hyperurl.co/SummerIndieFolk 3:51 Sun Brother -- ‘Unsewn’ https://soundcloud.com/sunbrotherde https://www.facebook.com/sunbrotha Download: http://azon.ly/SunBrother 5:58 The Unknown Neighbour -- 'You And Me’ https://www.facebook.com/theunknownneighbour https://soundcloud.com/theunknownneighbour Download: http://hyperurl.co/SummerIndieFolk 8:42 Amarante -- ‘Brave’ https://www.facebook.com/Amarantemusic/ https://soundcloud.com/amarantemusic Download: http://hyperurl.co/SummerIndieFolk 12:46 Gretta Ray -- 'Unexpected Feeling' https://www.facebook.com/grettaraymusic https://soundcloud.com/gretta-ray Download: http://azon.ly/GrettaRay 16:13 Josh Newell-Brown -- 'Shine’ https://www.facebook.com/joshnewellbrown/ https://soundcloud.com/joshnewellbrown Download: http://hyperurl.co/SummerIndieFolk 20:00 Souveneer -- ‘Tongue Tied’ http://facebook.com/souveneer https://soundcloud.com/souveneer Download: http://hyperurl.co/SummerIndieFolk 23:27 Oliver Daldry -- ‘After Dark’ https://open.spotify.com/artist/6Oq6B8oF3HNRj9eGar1hHZ https://www.facebook.com/oliverdaldry/ https://twitter.com/OliverDaldry https://www.instagram.com/oliverdaldry/ Download: https://itunes.apple.com/gb/album/after-dark-ep/id993777759 28:07 Vintage Talk -- ‘Habits’ http://facebook.com/vintagetalk https://www.youtube.com/channel/UCd4I1LeLb1bqsBEglSgyYSA http://spoti.fi/1TDoIPg https://soundcloud.com/vintagetalk http://vintagetalkmusic.com Download: http://hyperurl.co/SummerIndieFolk 31:04 James Forest -- ‘Big White Ship’ http://www.jamesforest.ca/ http://jamesforest.bandcamp.com/ http://www.facebook.com/jamesforestmusic Download: http://hyperurl.co/SummerIndieFolk 34:56 Boo Project -- ‘Planitana’ https://www.facebook.com/booproject/ https://www.youtube.com/channel/UCWKFUq6dmXuaQRbyYX20cVw Download: http://hyperurl.co/SummerIndieFolk 38:57 Thomas Waddill -- ‘Another Kind of Hope’ https://www.facebook.com/thomaswaddillmusic/ https://soundcloud.com/twaddill Download: http://hyperurl.co/SummerIndieFolk 43:39 Erica Bitting -- 'Year of Nonstop Love' https://www.facebook.com/EricaBitting https://soundcloud.com/ericabitting Download: http://hyperurl.co/SummerIndieFolk 47:30 Daniel Moody -- ‘Grow’ https://www.facebook.com/Daniel-Moody-122140312496/ http://danielmoody.bandcamp.com/ Download: http://hyperurl.co/SummerIndieFolk 51:04 Larch -- 'In Full Bloom' https://www.facebook.com/larchfolk/ https://soundcloud.com/larch-705973348 Download: http://hyperurl.co/SummerIndieFolk 54:31 Sophie Elizabeth -- 'The Tragedy of Limerence' https://www.youtube.com/channel/UC5uSbfqTGxexjoj4P2aR7iA https://soundcloud.com/sophieelizabeth-3 https://www.facebook.com/SophieElizabethMusicUk/ Download: http://hyperurl.co/SummerIndieFolk 58:04 Vintage Talk -- ‘Katie’s Song’ http://facebook.com/vintagetalk https://www.youtube.com/channel/UCd4I1LeLb1bqsBEglSgyYSA http://spoti.fi/1TDoIPg https://soundcloud.com/vintagetalk http://vintagetalkmusic.com Download: http://hyperurl.co/SummerIndieFolk 1:01:59 Jake William Capistran -- ‘Goners’ https://www.facebook.com/JakeWilliamCapistran/ https://soundcloud.com/jakewilliamcapistran Download: http://hyperurl.co/SummerIndieFolk 1:06:39 The Folk and Country Line -- ‘Travellin’’ https://www.facebook.com/thefolkandcountryline https://www.youtube.com/channel/UCrAo1GQiUp59k6u22zg3JyQ Download: http://hyperurl.co/SummerIndieFolk 1:10:12 Sarah Jane Scouten -- ‘Red Rocking Chair’ https://www.facebook.com/sarahjanescoutenmusic https://soundcloud.com/sarah-jane-scouten Download: N/A DOWNLOAD THIS COMPILATION: http://hyperurl.co/SummerIndieFolk Find alexrainbirdMusic on: Official website: http://www.alexrainbirdmusic.com/ Facebook: https://www.facebook.com/alexrainbirdMusic Twitter: https://twitter.com/alxrnbdMusic Spotify: https://play.spotify.com/user/alxrnbrdmusic/playlist/5kiNj8BLGBfKLwASSxLu2U Soundcloud: https://soundcloud.com/alexrainbirdmusic Instagram: https://instagram.com/alexrainbirdmusic/ Official merchandise - Worldwide store: http://shop.spreadshirt.com/alexrainbirdMusic/ About alexrainbirdMusic: Since 2011, Alex Rainbird has been hunting down and showcasing the very best in independent music. Featuring over 50 new artists a month, Alex hopes to provide a platform for underrated musicians to be heard and for viewers to find their new favourite band. Join Alex's +96,000 subscribers today to be the first to hear the finest independent music! 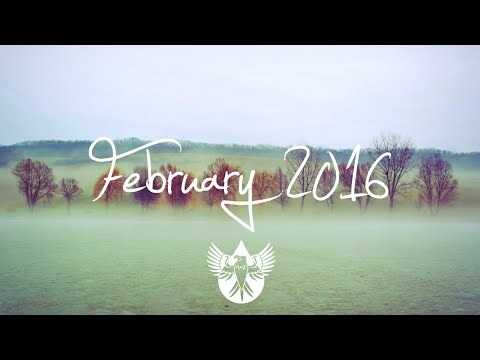 Have an fantastic February with over an hour of the best indie music. Tracklist below… Subscribe to be the first to hear the best new independent music! http://bit.ly/145fFnx Please contact alexrainbirdmusic@gmail.com if you’d like your music to be featured on my channel. Tracklist: 0:00 Hugo Hans -- ‘Wildrunners’ https://www.facebook.com/hugohansmusic http://www.hugohans.com/listen/ https://twitter.com/hugohansmusic Download: https://itunes.apple.com/us/album/beg... 2:40 Jesse Ruben -- ‘This Is Why I Need You’ https://www.facebook.com/jesserubenmusic https://soundcloud.com/jesse-ruben Download: http://amzn.to/1ZUcNpb 6:20 Yalta Club -- 'LOVE’ https://www.facebook.com/YaltaClubMusic https://open.spotify.com/track/5a97L3... https://soundcloud.com/yaltaclubmusic Download: http://bit.ly/1NQTG3N 9:56 Cinders -- ‘I Could Do Better’ https://www.facebook.com/cindersmusic https://soundcloud.com/cindersmusic Download: https://soundcloud.com/cindersmusic/i... 14:47 Firewoodisland -- 'Winter Is Coming' https://www.facebook.com/firewoodisla... https://soundcloud.com/firewoodisland Download: http://amzn.to/1QkOjgU 18:38 East Love -- 'Try’ https://www.facebook.com/eastloveband https://soundcloud.com/eastloveband Download: http://amzn.to/20kBZBZ 22:10 Tomo Nakayama -- ‘Cold Clear Moon’ https://www.facebook.com/tomonakayama... https://soundcloud.com/tomo-nakayama Download: http://tomomusic.bandcamp.com/ 25:47 Flights Over Phoenix -- ‘Runaway California’ https://www.instagram.com/flightsover... https://soundcloud.com/flights-over-p... http://www.flightsoverphoenixband.com/ Download: http://amzn.to/1UizZGM 28:53 The Unknown Neighbour -- ‘Little Boy’ https://www.facebook.com/theunknownne... https://soundcloud.com/theunknownneig... Download: https://soundcloud.com/theunknownneig... 32:18 Austin Adams -- ‘Lost In Love’ https://www.facebook.com/austinadamso... http://www.austinadamsmusic.com/ Download: http://amzn.to/1Qr4XNJ 35:38 Fond Of Rudy -- ‘Are You Ready?’ https://www.facebook.com/Fondofrudy https://soundcloud.com/fondofrudy Download: http://amzn.to/1WDWNCf 39:21 Kittens Of The Internet -- ‘Golden Lights’ https://www.facebook.com/Kittensofthe... https://soundcloud.com/kittensofthein... http://open.spotify.com/artist/0ZtRzJ... Download: https://itunes.apple.com/en/album/id1... 43:04 Benjamin Poss -- 'Insomnia' https://soundcloud.com/benjaminposs http://benjaminpossmusic.com/#home https://play.spotify.com/album/4NP0dO... Download: https://itunes.apple.com/us/album/ins... 47:11 Sonder Saloon -- ‘Who You Are’ https://www.facebook.com/sondersaloon https://soundcloud.com/sonder-saloon https://open.spotify.com/track/4u0siR... Download: http://amzn.to/1PdgEXz 50:03 New Portals -- 'Do It Right' https://www.facebook.com/NewPortalsMusic https://soundcloud.com/just-portals https://www.youtube.com/watch?v=SmxTR... Download: https://itunes.apple.com/us/album/do-... 53:30 Gryff -- 'Halcyon' https://www.facebook.com/GryffMusic/ https://soundcloud.com/gryffau Download: N/A 57:44 MOOD ROBOT -- ‘Drip’ https://www.facebook.com/MoodRobotBand https://soundcloud.com/moodrobotband Download: N/A 1:01:13 Freejays -- ‘Almost There’ https://www.facebook.com/freejaysmusic https://www.youtube.com/watch?v=a0vLK... Download: https://www.cdbaby.com/cd/freejays3 1:07:01 BLOW -- ‘The Devil Remembers Me’ https://www.facebook.com/blowofficial... https://soundcloud.com/blowsoundlcoud Download: N/A 1:10:42 Ladybug And The Wolf -- ‘Firefly’ https://www.facebook.com/ladybugandth... https://twitter.com/LATWmusic https://itunes.apple.com/fr/album/fam... Download: N/A 1:14:41 Tomo Nakayama -- ‘Shadows’ https://www.facebook.com/tomonakayama... https://soundcloud.com/tomo-nakayama Download: http://tomomusic.bandcamp.com/ Find alexrainbirdMusic on: Official website: http://www.alexrainbirdmusic.com/ Facebook: https://www.facebook.com/alexrainbirdMusic Twitter: https://twitter.com/alxrnbdMusic Spotify: https://play.spotify.com/user/alxrnbrdmusic/playlist/5kiNj8BLGBfKLwASSxLu2U Soundcloud: https://soundcloud.com/alexrainbirdmusic Instagram: https://instagram.com/alexrainbirdmusic/ Official merchandise - US & worldwide customers: http://shop.spreadshirt.com/alexrainbirdMusic/ UK customers: http://shop.spreadshirt.co.uk/alexrainbirdmusic About alexrainbirdMusic: Since 2011, Alex Rainbird has been hunting down and showcasing the very best in independent music. Featuring over 50 new artists a month, Alex hopes to provide a platform for underrated musicians to be heard and for viewers to find their new favourite band. Join Alex's +65,000 subscribers today to be the first to hear the finest independent music. 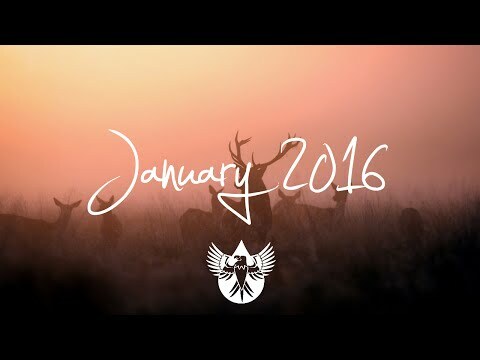 Start the new year right with over an hour of the best indie music. Tracklist below… Subscribe to be the first to hear the best new independent music! http://bit.ly/145fFnx Please contact alexrainbirdmusic@gmail.com if you’d like your music to be featured on my channel. Tracklist: 0:00 Jesse Taylor -- ‘I Found My Way’ https://www.facebook.com/jessetaylorau https://soundcloud.com/jessetaylorau Download: http://amzn.to/1OQbQmv 3:44 Junica -- ‘Everywhere I Go (Demo)’ https://www.facebook.com/junicamusic https://soundcloud.com/junica Download: N/A 6:59 Kaptan -- 'Way Out’ https://www.facebook.com/kaptanband https://soundcloud.com/kaptanband Download: http://amzn.to/1IvPjPn 10:46 TeamMate -- ‘Nothing’s Ever Over’ https://play.spotify.com/artist/42XkI7wAR6XWksLCmQ5AwO http://www.teammateband.com/ https://www.facebook.com/TeamMateBand https://twitter.com/TeamMateBand https://instagram.com/teammateband/ Download: http://apple.co/1NH7jVQ 14:40 Bird Passengers -- 'Waves Sara' https://www.facebook.com/birdpassengers https://soundcloud.com/birdpassengers Download: http://apple.co/1RLrh5y 17:31 The July -- 'Floating’ https://twitter.com/TheJulyMusic https://www.facebook.com/thejulymusic/ http://www.thejulymusic.com/ https://open.spotify.com/artist/4j5HANWsHguhYCjoCTNh9V https://www.youtube.com/channel/UC77X4ezV60eN61wS-Tq2SkA Download: https://thejulymusic.bandcamp.com 20:54 Oktoba -- ‘Tongue Tied’ https://www.facebook.com/oktobamusic/ https://twitter.com/oktobamusic https://www.instagram.com/oktobamusic/ https://www.youtube.com/channel/UCPRKEDjhq2_N9H4oW1q9Tog/feed https://soundcloud.com/oktobamusic Download: http://apple.co/1Osi41K 24:42 SKYMACHINE -- ‘Land of Black Gold’ https://www.facebook.com/skymachinemusic https://soundcloud.com/skymachinemusic Download: http://amzn.to/1QSIhXx 28:59 CLUBHOUSE -- ‘Run Away’ https://www.facebook.com/ClubhouseBand https://soundcloud.com/clubhouse_music Download: http://amzn.to/1R1mRpP 32:21 Late Cambrian -- ‘Dark Heart (Where Can We Go Now? )’ https://www.facebook.com/LateCambrian https://soundcloud.com/latecambrian Download: http://amzn.to/1YExi8F 36:56 Supermassive -- ‘Empty Cup’ https://www.facebook.com/SupermassiveAndFriends/ https://soundcloud.com/supermassive_music Download: http://apple.co/1TlrRVk 41:24 The Tide Rose -- ‘Wade In The Water’ https://www.facebook.com/thetiderose https://soundcloud.com/thetiderose Download: http://amzn.to/1ZusP5j 44:53 The Unknown Neighbour -- 'Unconditional Love' https://www.facebook.com/theunknownneighbour/ https://soundcloud.com/theunknownneighbour Download: https://soundcloud.com/theunknownneighbour/unconditional-love 49:26 Gecko -- ‘Feeling My Way’ http://youtube.com/geckoofficial http://Facebook.com/geckoband Twitter/Instagram: @geckoofficial Download: https://geckoband.bandcamp.com/track/feeling-my-way-3 52:48 Dillon Bhana -- 'Rules' https://www.instagram.com/dillonbhana/ https://soundcloud.com/dillon-bhana Download: N/A 57:47 Temper Coast -- 'Relapse' https://www.facebook.com/tempercoast/ https://soundcloud.com/temper-coast Download: https://soundcloud.com/temper-coast/relapse 1:02:29 Lyel -- ‘Raven’ https://www.facebook.com/lyelmusic https://soundcloud.com/lyelmusic Download: N/A 1:06:11 Revive Us -- ‘Campfire Anthem’ https://www.facebook.com/thatmaskedbloke/ https://soundcloud.com/revive_us Download: https://reviveusmusic.bandcamp.com/track/campfire-anthem 1:10:20 Shimmers -- ‘Paris’ https://soundcloud.com/shimmersmusic Download: N/A Find alexrainbirdMusic on: Official website: http://www.alexrainbirdmusic.com/ Facebook: https://www.facebook.com/alexrainbirdMusic Twitter: https://twitter.com/alxrnbdMusic Spotify: https://play.spotify.com/user/alxrnbrdmusic/playlist/5kiNj8BLGBfKLwASSxLu2U Soundcloud: https://soundcloud.com/alexrainbirdmusic Instagram: https://instagram.com/alexrainbirdmusic/ Grab an official t-shirt: UK Store: http://shop.spreadshirt.co.uk/alexrainbirdmusic US Store: http://shop.spreadshirt.com/alexrainbirdMusic/ About alexrainbirdMusic: Since 2011, Alex Rainbird has been hunting down and showcasing the very best in independent music. Featuring over 50 new artists a month, Alex hopes to provide a platform for underrated musicians to be heard and for viewers to find their new favourite band. Join Alex's +60,000 subscribers today to be the first to hear the finest independent music. 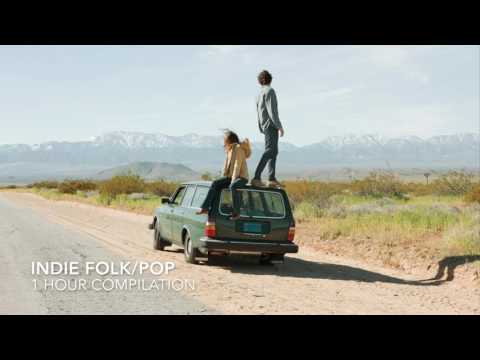 Listen to some of the greatest indie-folk songs of all time, chosen by myself and Indie Feed! Subscribe to be the first to hear the best new independent music! 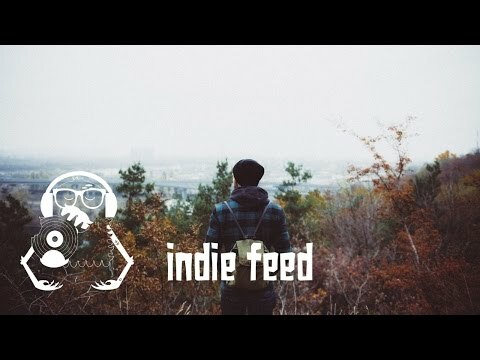 http://bit.ly/145fFnx Follow Indie Feed: https://www.youtube.com/c/indiefeedmusic http://indiefeedmusic.com/ https://open.spotify.com/user/indiefeedmusic https://soundcloud.com/indiefeedmusic https://www.facebook.com/indiefeedmusic Please contact alexrainbirdmusic@gmail.com if you’d like your music to be featured on my channel. Tracklist: 0:00 Playwrite -- ‘Black Cloud’ https://www.facebook.com/playwriteband https://soundcloud.com/playwrite Download: http://amzn.to/1JuXl5Y 3:29 The Paper Kites -- ‘Bloom’ https://www.facebook.com/thepaperkite... https://play.spotify.com/album/5l8axH... Download: http://amzn.to/1TNcesd 6:57 Elmore -- 'One Man Town’ https://www.facebook.com/OriginalElmore https://soundcloud.com/raincityreserv... Download: N/A 10:29 Freelance Whales -- ‘Generator First Floor’ https://www.facebook.com/freelancewha... https://soundcloud.com/freelance-whales Download: http://amzn.to/1QlNLVv 13:33 Ezra Vine -- 'Celeste' https://www.facebook.com/EzraVine https://soundcloud.com/ezravine Download: http://amzn.to/1UWs2aH 16:52 Dustin Tebbutt -- 'The Breach’ https://www.facebook.com/DustinTebbut... https://soundcloud.com/dustintebbutt Download: http://amzn.to/1S9MtTl 21:05 The Oh Hellos -- ‘Hello My Old Heart’ https://www.facebook.com/theohhellos https://soundcloud.com/the-oh-hellos Download: http://amzn.to/1SCSDvW 25:16 Jesse Taylor -- ‘I Found My Way’ https://www.facebook.com/jessetaylorau https://soundcloud.com/jessetaylorau Download: http://amzn.to/1OQbQmv 29:01 The Lumineers -- ‘Flowers In Your Hair’ https://www.facebook.com/TheLumineers https://soundcloud.com/dine-alone-rec... Download: http://amzn.to/23RQf7X 30:48 Matthew Mole -- ‘Take Yours, I’ll Take Mine’ https://www.facebook.com/matthewjmole/ https://soundcloud.com/matthew-mole Download: http://amzn.to/1S9NomX 34:26 Little May -- ‘Boardwalks’ https://www.facebook.com/littlemaymusic/ https://soundcloud.com/littlemaymusic Download: http://amzn.to/1QPoTIl 37:40 Old Sea Brigade -- ‘Love Bought Weight’ https://www.facebook.com/oldseabrigade https://soundcloud.com/old-sea-brigade Download: http://amzn.to/1W3U1Fp 40:44 Zack Buchanan -- 'Little River' https://www.facebook.com/zackbuchanan... https://soundcloud.com/zackbuchanan Download: http://amzn.to/1PuYb5w 44:06 Woodlock -- ‘Lemons’ https://www.facebook.com/WoodlockMusic https://soundcloud.com/woodlock Download: http://amzn.to/1XcsIdj 47:41 Thom Byles -- 'In Your Blood' https://www.facebook.com/thombyles https://soundcloud.com/thombyles Download: https://thombyles.bandcamp.com/track/... 51:15 Dustin Tebbutt -- 'Silk (feat. Thelma Plum)' https://www.facebook.com/DustinTebbut... https://soundcloud.com/dustintebbutt Download: https://itunes.apple.com/gb/album/hom... 55:13 Benjamin -- ‘The Ocean Swears It Won’t Be Easy’ https://play.spotify.com/album/3BECbs... Download: http://amzn.to/1Xctas5 58:06 OLD MAN CANYON -- ‘Phantoms & Friends’ https://www.facebook.com/oldmancanyon https://soundcloud.com/oldmancanyon Download: http://amzn.to/20iB9Um 1:01:55 The Unknown Neighbour -- ‘Little Boy’ https://www.facebook.com/theunknownne... https://soundcloud.com/theunknownneig... Download: https://soundcloud.com/theunknownneig... 1:05:22 Hollow Coves -- ‘Home’ https://www.facebook.com/HollowCoves https://soundcloud.com/hollow-coves Download: https://hollowcoves.bandcamp.com/ Find alexrainbirdMusic on: Official website: http://www.alexrainbirdmusic.com/ Facebook: https://www.facebook.com/alexrainbird... Twitter: https://twitter.com/alxrnbdMusic Spotify: https://play.spotify.com/user/alxrnbr... Soundcloud: https://soundcloud.com/alexrainbirdmusic Instagram: https://instagram.com/alexrainbirdmusic/ Official merchandise - US & worldwide customers: http://shop.spreadshirt.com/alexrainb... UK customers: http://shop.spreadshirt.co.uk/alexrai... About alexrainbirdMusic: Since 2011, Alex Rainbird has been hunting down and showcasing the very best in independent music. Featuring over 50 new artists a month, Alex hopes to provide a platform for underrated musicians to be heard and for viewers to find their new favourite band. Join Alex's +68,000 subscribers today to be the first to hear the finest independent music. Click below to see a list of artists featured and their track order ----------------------------------SUBSCRIBE---------------------------------------------- If your band would like to be featured or know some great unknown artists you'd love to see in my playlists, feel free to drop me a message or email at funspear.submissions@gmail.com (00:00) Moody Blues by Cinders** (3:34) Geronimo by The Beach (7:07) First Day Of Summer by Jesse Ruben (9:48) Another State by Tigers In The Sky (12:33) Cherry Sweet by Sam Winston (15:46) Money Money Money by Michael Mceachern (18:32) Together by Animal Island (22:06) Wander by Tim Atlas (26:05) 86 Parisienne by Lowlight (30:40) Dreaming As We Go by Chariots (34:08) Pure Gold by Off Colour (37:25) Too Late by Small Culture (40:35) Welcome Home by Allmankind (44:23) Into The Wilderness by Early Hours (47:26) 4th July by Daniel Pearson (49:43) Waterslide by Adam Harpaz (53:04) The Great Pretenders by Achoo Bless You! 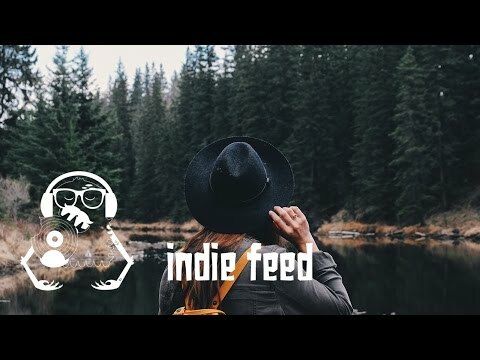 (55:43) Reeverie by Side Saddle (58:29) We Hit The Ground by Lauren Marsh Cinders are an Indie-Pop-Rock band from SLC, UT. They're made up of Bennett, De La Cruz, Harris, Smith, Zabriskie. Their self-titled debut album "cinders" is the perfect mix of catchy, upbeat, meaningful and cinematic songs. You can buy the album on iTunes here: http://apple.co/1Yc9QNU. Their single Moody blues is ironically guaranteed to get you feeling 10 times better! Show Cinders some support at the below links https://www.facebook.com/cindersmusic/ http://www.cindersmusic.com I do not own any content used within this video. All rights belong to their artists and producers. All videos are monetised by the bands and their labels, I do not profit financially from any content used. All music is used for free promotional purposes only. Spring is here! 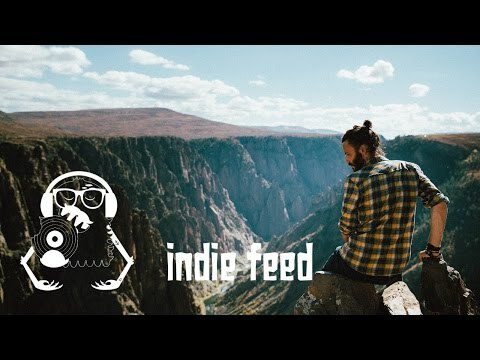 Make the most of it with over an hour of the best indie music. Tracklist and download below… DOWNLOAD: http://hyperurl.co/MayIndieDownload Subscribe to be the first to hear the best new independent music! http://bit.ly/145fFnx Please contact alexrainbirdmusic@gmail.com if you’d like your music to be featured on my channel. DOWNLOAD THIS COMPILATION: http://hyperurl.co/MayIndieDownload Tracklist: 0:00 Sutherland -- ‘Remember’ https://www.facebook.com/SutherlandBandSA https://soundcloud.com/sutherlandband Download: http://hyperurl.co/MayIndieDownload 3:11 Stereopol -- ‘Claymore’ https://www.facebook.com/stereopolband https://soundcloud.com/stereopol Download: http://azon.ly/Stereopol 7:41 Damien McFly -- 'Hold On’ https://www.facebook.com/damienmcflyband/ https://soundcloud.com/damien-mcfly Download: http://hyperurl.co/MayIndieDownload 11:29 Dillon Bhana -- ‘Fly Away’ https://soundcloud.com/dillon-bhana https://www.instagram.com/dillonbhana/ Download: http://hyperurl.co/MayIndieDownload 15:35 The Wldlfe -- 'Waterfalls' https://www.facebook.com/thewldlfe/ https://soundcloud.com/wldlfemsc Download: http://azon.ly/TheWldlfe 19:59 Valley -- 'Swim’ https://www.facebook.com/officialvalley https://soundcloud.com/valley-official Download: http://azon.ly/Valley 23:53 WANDERER -- ‘Only In The Night’ https://www.facebook.com/wanderersongs/ https://soundcloud.com/wanderersongs/ Download: http://hyperurl.co/MayIndieDownload 26:54 Tall Tree Tales-- ‘Scaredy Cat’ https://www.facebook.com/Tall-Tree-Tales-752632168125694/ https://soundcloud.com/talltreetales Download: http://hyperurl.co/MayIndieDownload 30:32 Revive Us -- ‘The Tiger And The Whale’ https://www.facebook.com/reviveusmusic https://soundcloud.com/revive_us Download: http://hyperurl.co/MayIndieDownload 34:10 P O P F I L T E R -- ‘All The Colors’ https://www.facebook.com/POPFILTERband/ https://soundcloud.com/popfilterband Download: http://hyperurl.co/MayIndieDownload 38:24 The Jumping Guns -- ‘Masses’ https://www.facebook.com/JumpingGuns/ https://soundcloud.com/thejumpingguns Download: http://hyperurl.co/MayIndieDownload 42:01 Cinders -- ‘Closed Blinds’ https://www.kickstarter.com/projects/1574219268/cinders-debut-album https://www.facebook.com/cindersmusic/ http://www.cindersmusic.com/ https://soundcloud.com/cindersmusic Download: N/A 46:00 Firewoodisland -- 'All In Line' https://www.facebook.com/firewoodisland/ https://soundcloud.com/firewoodisland Download: http://hyperurl.co/MayIndieDownload 49:05 Corridors -- ‘Thank You’ https://soundcloud.com/corridoors Download: N/A 52:52 Man at War -- 'On An Empty Street At Night' https://www.facebook.com/manatwarmusic https://soundcloud.com/man-at-war Download: https://manatwar.bandcamp.com/track/on-an-empty-street-at-night 57:11 Barkley -- 'Blame It On L.A.' https://www.facebook.com/barkleymusic/ https://soundcloud.com/barkleymusic Download: N/A 1:00:18 Golden Ears -- ‘Falling for the Evening’ https://www.facebook.com/goldenearsmusic https://soundcloud.com/goldenearsmusic Download: http://hyperurl.co/MayIndieDownload 1:05:01 Autumn Child -- ‘Life’ https://www.facebook.com/autumnchildband https://soundcloud.com/autumnchildband Download: http://hyperurl.co/MayIndieDownload 1:08:52 Counting Lifeboats -- ‘Follow That Car’ https://www.facebook.com/countinglifeboatsband/ https://www.youtube.com/channel/UCC-IN7IYNDHjbzHGxD2uoYw Download: N/A 1:12:38 Lewisland -- ‘Wild World (feat. BeeJay)’ https://www.facebook.com/lewislandofficial/ https://soundcloud.com/lewislandofficial Download: http://hyperurl.co/MayIndieDownload DOWNLOAD THIS COMPILATION: http://hyperurl.co/MayIndieDownload Find alexrainbirdMusic on: Official website: http://www.alexrainbirdmusic.com/ Facebook: https://www.facebook.com/alexrainbirdMusic Twitter: https://twitter.com/alxrnbdMusic Spotify: https://play.spotify.com/user/alxrnbrdmusic/playlist/5kiNj8BLGBfKLwASSxLu2U Soundcloud: https://soundcloud.com/alexrainbirdmusic Instagram: https://instagram.com/alexrainbirdmusic/ Official merchandise - US & worldwide customers: http://shop.spreadshirt.com/alexrainbirdMusic/ UK customers: http://shop.spreadshirt.co.uk/alexrainbirdmusic About alexrainbirdMusic: Since 2011, Alex Rainbird has been hunting down and showcasing the very best in independent music. Featuring over 50 new artists a month, Alex hopes to provide a platform for underrated musicians to be heard and for viewers to find their new favourite band. Join Alex's +85,000 subscribers today to be the first to hear the finest independent music! 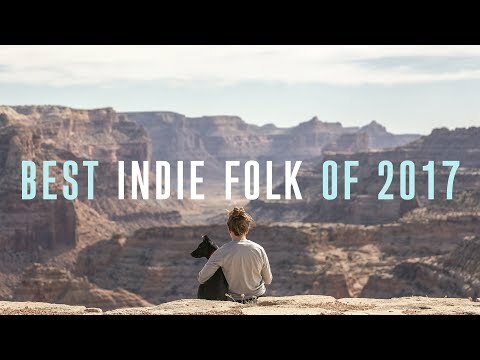 # Indie Folk | Compilation/Playlist December 2015 Track list: 00:00 Roscoe James Irwin | Arrows Spotify | https://open.spotify.com/track/0mKKt92RDfsUuOJIQI0GqV?si=VKsfn8q8RiqGX8ACIjjzWw 02:40 Patrick James | Bugs Spotify | https://open.spotify.com/track/7C7ytUmduAtk1ZMwelJL9S?si=sjo7-gOFTkuvkDKfUv_Bvw 06:28 Lilly Ahlberg | Tove Lo - Habits (Stay High) Spotify | https://open.spotify.com/artist/2s8bgT1CE6KOA0a2omeCDk?si=1fPMBhNRRY2rYkya9q1ODA 11:00 Tom Rosenthal | Be Good Spotify | https://open.spotify.com/track/7ksUuRAALPLYjhlpwTcDCH?si=VvHEBvwpS9Sfbpm_MFxMKQ 13:44 Freedom Fry | 1979 (Cover) Spotify | https://open.spotify.com/track/2KSezpA4CZxv1RkQvA1jXE?si=zfu5JMnlTH-lagFdUYWcPQ 18:37 Covey | Comes And Goes Spotify | https://open.spotify.com/track/5Id1y11bJjZcp5sinq1KMb?si=uyhx9HeuTc22TH516qUWcw 21:40 Uri Sade | Black Flag Spotify | https://open.spotify.com/track/3jIqqPe5rBDQXKnO8d9swB?si=TMCt7g2VS1Oaw0iBsWllRw 26:00 Benjamin | The Ocean Swears It Won't Be Easy Spotify | https://open.spotify.com/track/2YmcunzVllt74UWHGIDCNt?si=IqiHBSz2RZCVtHmQ33Rizg 28:55 Wild Rivers | Wandering Child Spotify | https://open.spotify.com/track/4fmDacs09JwAlkzqhit7xf?si=FYrSb-9ES9i2C0X50KorBQ 32:00 Bear's Den | Above The Clouds Of Pompeii Spotify | https://open.spotify.com/track/723paR6LrVISFCXFPf5z57?si=2-pEchMWT3a28qsCWva-SQ 35:46 Cavalry | Soak Spotify | https://open.spotify.com/track/6GQfC5BXAzKQE2Him8H53Q?si=9Jpk99IuQ-uJ7iD9tcymCA 39:45 Jake McMullen | Always Spotify | https://open.spotify.com/track/06qJ3Zo0VBiPfKQadvdNs9?si=2T0O9-HZQ1qFfuWP_EpWvA 44:21 Joshua Michael Robinson | Sweet Ascension SoundCloud | https://soundcloud.com/redbricksongs/sweet-ascension 47:53 Dan Hyde | My Door Spotify | https://open.spotify.com/track/3HRDJ3oLDJp6qIonk8exgi?si=bCpTFERMSHaTSX5cRqfLcA 51:54 Beta Radio | Orange Rind Spotify | https://open.spotify.com/track/2s8ETagTacrHbIWs9rr2Bo?si=3QskQSQ7TP--MnBcmNu3-Q ...................................... Support Curved FLOW Donate | https://www.paypal.com/cgi-bin/webscr?cmd=_s-xclick&hosted_button_id=GUX2US4T2MDPC Follow Curved FLOW Website | https://www.curvedflow.com Facebook | https://www.facebook.com/CurvedFLOWMusic Instagram | https://www.instagram.com/curvedflowmusic Twitter | https://twitter.com/CurvedFLOW SoundCloud | https://soundcloud.com/curvedflow Spotify | https://open.spotify.com/user/curvedflow This channel is strictly for promotion of the artists, their music and their social networks. Please keep in mind that all content is shared with intent to accredit all parties involved. If you or your group has any issue with an upload that you own rights to, please notify us and we will remove the video without question. Enjoy! 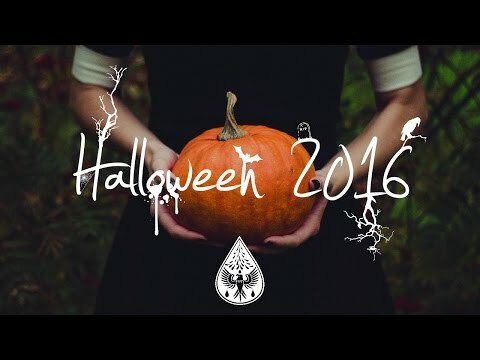 Get into the spirit of things with a selection of haunting tracks perfect for Halloween. More info, links and tracklist in the video description... » Subscribe to be the first to hear the best new independent music! http://bit.ly/145fFnx Please contact alexrainbirdmusic@gmail.com if you’d like your music to be featured on my channel. Tracklist: 0:00 Thom Byles -- ‘In Your Blood’ https://twitter.com/ThomByles https://soundcloud.com/thombyles Download: N/A 3:31 Oliver Daldry -- ‘Ghost Town’ https://www.facebook.com/oliverdaldry/ https://soundcloud.com/oliver-daldry Download: https://itunes.apple.com/gb/album/after-dark-ep/id993777759 7:48 Firewoodisland -- 'Feast’ https://www.facebook.com/firewoodisland https://soundcloud.com/firewoodisland Download: http://prourls.co/2hbQ 12:09 Wanderwild -- ‘Misty Morning’ https://www.facebook.com/wanderwildmusic/ https://soundcloud.com/wanderwild Download: http://prourls.co/cwUo 15:04 Simen Mitlid -- 'Vacation' https://www.facebook.com/simenmitlidofficial/ https://soundcloud.com/simenmitlid Download: http://prourls.co/4bLg 18:18 August and After -- 'Wolves’ https://www.facebook.com/augustandaftermusic/ https://soundcloud.com/augustandafter Download: http://prourls.co/FzWW 22:33 Amarante -- ‘Demon’ https://www.facebook.com/Amarantemusic/ https://soundcloud.com/amarantemusic Download: https://amarante.bandcamp.com/album/luminous-phantom-ep 26:11 Hey Way -- ‘Strange Game’ https://www.facebook.com/theheyway/ https://soundcloud.com/heywaymusic Download: http://hyperurl.co/HeyWay 30:16 Jamie Moon -- ‘Fear For Your Life’ https://www.facebook.com/jamiemoonmusic https://soundcloud.com/jamiemoonmusic Download: http://prourls.co/RiSt 35:17 Koda -- ‘New Blood’ https://www.facebook.com/KodaSC https://soundcloud.com/kodachrome Download: http://prourls.co/HMRF 38:23 Noble Kids -- ‘Ghosts’ https://www.facebook.com/noblekids2013 https://noblekids.bandcamp.com/ @Noblekidsmusic (Instagram/Twitter) Download: https://noblekids.bandcamp.com/album/noble-kids-at-tarquin-studios 42:17 Bruno Wistful -- ‘Into The Night’ https://www.facebook.com/brunowistful/ http://brunowistful.com/ Download: http://prourls.co/Tk36 45:44 The Lunar Year -- 'As Your Own' https://www.facebook.com/thelunaryear/ https://soundcloud.com/thelunaryear Download: https://soundcloud.com/thelunaryear/as-your-own 48:49 Amarante -- ‘Embers’ https://www.facebook.com/Amarantemusic/ https://soundcloud.com/amarantemusic Download: https://amarante.bandcamp.com/album/luminous-phantom-ep Find alexrainbirdMusic on: Official website: http://www.alexrainbirdmusic.com/ Facebook: https://www.facebook.com/alexrainbirdMusic Twitter: https://twitter.com/alxrnbdMusic Spotify: https://play.spotify.com/user/alxrnbrdmusic/playlist/5kiNj8BLGBfKLwASSxLu2U Soundcloud: https://soundcloud.com/alexrainbirdmusic Instagram: https://instagram.com/alexrainbirdmusic/ Snapchat: alx_rnbrd Official merchandise - Worldwide store: http://shop.spreadshirt.com/alexrainbirdMusic/ About alexrainbirdMusic: Since 2011, Alex Rainbird has been hunting down and showcasing the very best in independent music. Featuring over 50 new artists a month, Alex hopes to provide a platform for underrated musicians to be heard and for viewers to find their new favourite band. Join Alex's +120,000 subscribers today to be the first to hear the finest independent music! 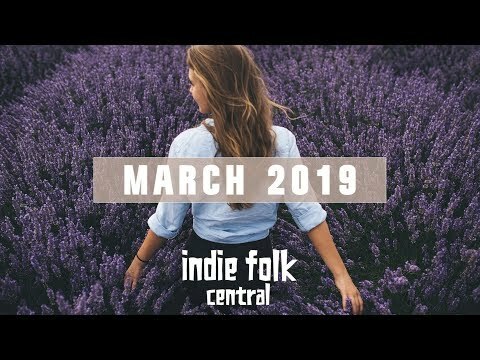 Discover the best new indie folk music of the month March 2019 in this playlist (Acoustic, Indie, Folk) Subscribe: https://goo.gl/58cjHJ ⬇️ tracklist & info in the description ⬇️ 📖 About Indie Folk Central: As the best source for indie folk music, we supply our listeners with new songs each and every month through our YouTube, SoundCloud and Spotify channel. 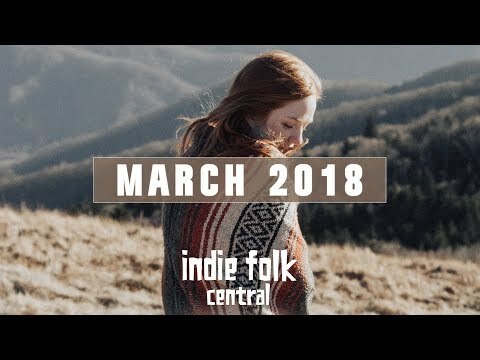 ❤️ Follow Indie Folk Central: ╎ https://facebook.com/indiefolkcentral ╎ https://www.instagram.com/indiefolkcentral 👏 Support us: If you enjoy the content we're publishing, then please support us with any amount of your choice. This can be a one-time donation or a recurring donation and you can choose the currency that suits you the most. We hope to raise enough money to finance our costs and to continue promoting the best new indie folk. ╎ https://indiefolkcentral.com/support-us 🎧 Enjoy more of our music ╎SoundCloud: http://soundcloud.com/indiefolkcentral ╎Spotify: https://indiefolkcentral.com/spotify ✏️ Feel free to contact us: ╎Mail: rufus@indiefolkcentral.com ╎Song submissions: www.submithub.com/blog/indiefolkcentral 📷 Photographer: Will Li ╎DOWNLOAD original here: https://bit.ly/2DmcnyM 🎶 Tracklist & artist info 0:00 Indie Folk Central - Discover the best new indie folk ╎ SoundCloud: https://goo.gl/JbrFr4 0:10 Harrison Storm - Run Released February 22, 2019 http://www.harrisonstorm.com https://www.facebook.com/harrisonstormmusic Listen on Spotify: https://spoti.fi/1NAQ2LX 3:24 James Spaite - Killowen Released March 22, 2019 http://www.jamesspaite.com https://www.instagram.com/jamesspaite Listen on Spotify: https://spoti.fi/2SD9UXS 7:02 Dennis Svennebäck - Tangles and Leaves Released March 4, 2019 https://www.instagram.com/dennissvenneback Listen on Spotify: https://spoti.fi/2CuSmaR 10:26 Gina Brooklyn - Butterfly Released March 1, 2019 http://www.ginabrooklyn.com https://www.facebook.com/ginabrooklynnmusic Listen on Spotify: https://spoti.fi/2BZ04K9 13:52 Chris Ayer - Mad Eye Released March 1, 2019 http://www.chrisayermusic.com https://www.facebook.com/chrisayer Listen on Spotify: https://spoti.fi/1SfI0ts 17:18 sød ven - Carry Me Home Released March 22, 2019 http://www.sodvenmusic.com Listen on Spotify: https://spoti.fi/2CGv9nZ 21:42 Racoon Racoon - The Dodo's Nest Released March 8, 2019 https://www.racoonracoon.com https://www.facebook.com/racoonracoonband Listen on Spotify: https://spoti.fi/2TaGmkm 25:01 Hayley Reardon - Bethany Released March 1, 2019 https://www.hayleyreardon.com https://www.facebook.com/hayleyreardonmusic Listen on Spotify: https://spoti.fi/2TkUPP4 27:53 We Are All Fossils - Merry Go Round Released March 4, 2019 https://www.weareallfossils.com https://www.facebook.com/WAAFossils Listen on Spotify: https://goo.gl/5cFA5c 31:53 Jennifer Kamikazi - Start Again Released March 22, 2019 https://www.jenniferkamikazi.com https://www.facebook.com/jenniferkamikazi Listen on Spotify: https://spoti.fi/2Wkjwtj 34:56 Samuel Romero - No Name No Face Released March 14, 2019 http://www.earthhearthum.com https://www.facebook.com/samuelromeromusic Listen on Spotify: https://spoti.fi/2HuRdo3 38:33 Trevor Stott - I'll Just Remember Released January 19, 2019 https://www.trevorstottmusic.com https://www.facebook.com/TrevorStottMusic Listen on Spotify: https://spoti.fi/2VocFhg 41:25 Estes - Laurelli Released December 21, 2018 https://estesmusicofficial.com https://www.facebook.com/estesmusic Listen on Spotify: https://spoti.fi/2T9XKpo 45:42 Aimee Bayles - Leave The Light On Released March 15, 2019 http://www.aimeebayles.com http://www.facebook.com/aimeebaylesmusic Listen on Spotify: https://spoti.fi/2HvWbRw 49:02 Maor Shvartzberg - Spring Released March 14, 2019 https://www.mishmash-music.com https://www.facebook.com/mishmashmusiccom Listen on Spotify: https://spoti.fi/2TZrFFp 52:37 John Adams - Million Lives Released February 8, 2019 https://www.johnadamsmusic.co.uk https://www.facebook.com/JohnAdamsMusic1 Listen on Spotify: https://spoti.fi/2Fa51Aw 56:15 toloveasyou - Fault Line Released March 1, 2019 http://toloveasyou.com Listen on Spotify: https://spoti.fi/2OhWPT8 59:51 Victoria Bigelow - Sweet Thing Released March 1, 2019 https://www.facebook.com/victoriabigelowmusic Listen on Spotify: https://spoti.fi/2CmWObP 1:02:20 Trailer ‘New Indie Folk; February 2019’ James Ollier - Nomad Frays ╎https://youtu.be/u92msSbJ95A 🎶 Lyrics: some of the songs are available on our SoundCloud page, you can find the lyrics there in the song description! 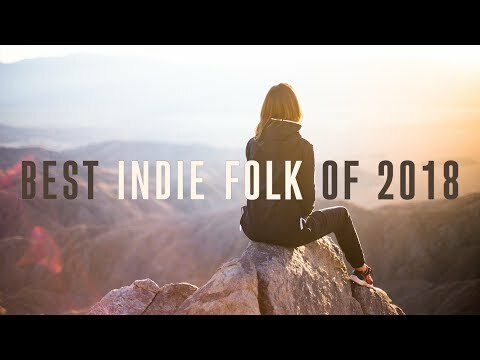 📽️ Enjoy some more of our music videos: New Indie Folk; February 2019 ╎ https://youtu.be/u92msSbJ95A New Indie Folk; January 2019 ╎ https://youtu.be/P3UyPElEPhs Best Indie Folk of 2018: ╎ https://youtu.be/V4lBq_d5THM ✌️ Much love from The Netherlands! 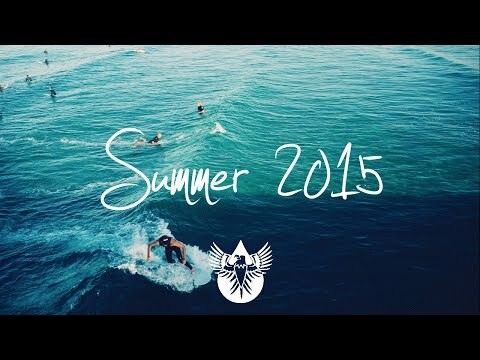 Say goodbye to summer with over an hour of the best indie music. Tracklist and download below… DOWNLOAD: http://hyperurl.co/SeptIndieDL Subscribe to be the first to hear the best new independent music! http://bit.ly/145fFnx Please contact alexrainbirdmusic@gmail.com if you’d like your music to be featured on my channel. DOWNLOAD THIS COMPILATION: http://hyperurl.co/SeptIndieDL Tracklist: 0:00 WILD -- ‘Silver & Gold’ https://www.facebook.com/wildofficialus https://soundcloud.com/wild Download: http://hyperurl.co/SeptIndieDL 2:53 Fialta -- ‘Sleepy Time’ https://www.facebook.com/fialta https://soundcloud.com/fialtamusic Download: http://hyperurl.co/SeptIndieDL 5:40 Old Daisy -- 'Nightlife’ https://www.facebook.com/OldDaisy/ https://soundcloud.com/olddaisy Download: http://hyperurl.co/SeptIndieDL 9:56 Brave The Spirit -- ‘Hey Kid’ https://www.facebook.com/bravethespirit/ https://soundcloud.com/bravethespirit Download: http://hyperurl.co/SeptIndieDL 13:16 Dillon Bhana -- 'Alone' https://soundcloud.com/dillon-bhana https://www.instagram.com/dillonbhana/ Download: http://hyperurl.co/SeptIndieDL 16:44 Jolé -- 'A Year of Ages’ http://bit.ly/22ndKng (Facebook) http://bit.ly/1WdXxRL (Soundcloud) http://bit.ly/1QTSvRN (Twitter) http://spoti.fi/1Ou5Ssq (Spotify) Download: http://apple.co/1TfRc1o 19:58 Bird Passengers -- ‘Afterglow’ https://www.facebook.com/birdpassengers/ https://soundcloud.com/birdpassengers Download: http://hyperurl.co/SeptIndieDL 23:08 Pierre Stemmett -- ‘No Sweat’ https://www.facebook.com/pierrestemmettmusic/ https://soundcloud.com/pierrestemmett Download: N/A 25:52 LE -- ‘The Road Is The Sky’ https://www.facebook.com/LEoriginal https://soundcloud.com/le_original Download: Ihttp://hyperurl.co/SeptIndieDL 29:07 The Lonely Rivals -- ‘Save It For Tomorrow’ https://www.facebook.com/thelonelyrivals/ https://soundcloud.com/thelonelyrivals Download: N/A 32:22 Cinders -- ‘Dreamers’ https://www.facebook.com/cindersmusic/ http://www.cindersmusic.com/ https://open.spotify.com/artist/3kbFTAkkC68vVXA87WHDS4 Download: http://hyperurl.co/z319du 36:51 Samuel Nicholson -- ‘Big Love’ https://www.facebook.com/samuellikesmusic/ https://soundcloud.com/got_fuzz/sets/samuel-nicholson-blood-sugar-ep Download: http://hyperurl.co/SeptIndieDL 40:23 Up In Smoke -- 'Time Just Flies' https://soundcloud.com/lcrecordings/sets/time-just-flies-by-up-in-smoke/s-ArM3d https://www.facebook.com/UpInSmokeCumnock/?fref=ts http://upinsmokemusic.com/connect/?v=79cba1185463 Download: http://hyperurl.co/SeptIndieDL 44:56 Shapes On Tape -- ‘Wide Angle Eyes’ https://www.facebook.com/shapesontape/ https://soundcloud.com/shapesontape Download: http://hyperurl.co/SeptIndieDL 48:59 luhx. -- 'more.' https://www.facebook.com/luhx.music/ https://soundcloud.com/luhx_music Download: http://hyperurl.co/SeptIndieDL 52:12 URI -- 'Black Flag' https://www.facebook.com/musicbyu.r.i https://soundcloud.com/uri-music Download: http://hyperurl.co/SeptIndieDL 56:23 Slow Sugar -- ‘Hypnotic Love’ https://www.facebook.com/slowsugar/ https://soundcloud.com/slowsugarmusic Download: http://prourls.co/QeVs 59:33 Josh Noren -- ‘Intervention’ https://www.facebook.com/joshnorenmusic/ https://soundcloud.com/joshnorenmusic Download: http://hyperurl.co/SeptIndieDL 1:03:17 Caves -- ‘Now I Know (feat. Allyson of Froyo)’ https://www.facebook.com/cavesmusica https://soundcloud.com/cavesmusica Download: http://hyperurl.co/SeptIndieDL 1:06:30 Old Daisy -- ‘Liquor and Pearls’ https://www.facebook.com/OldDaisy/ https://soundcloud.com/olddaisy Download: http://hyperurl.co/SeptIndieDL DOWNLOAD THIS COMPILATION: http://hyperurl.co/SeptIndieDL Find alexrainbirdMusic on: Official website: http://www.alexrainbirdmusic.com/ Facebook: https://www.facebook.com/alexrainbirdMusic Twitter: https://twitter.com/alxrnbdMusic Spotify: https://play.spotify.com/user/alxrnbrdmusic/playlist/5kiNj8BLGBfKLwASSxLu2U Soundcloud: https://soundcloud.com/alexrainbirdmusic Instagram: https://instagram.com/alexrainbirdmusic/ Snapchat: alx_rnbrd Official merchandise - Worldwide store: http://shop.spreadshirt.com/alexrainbirdMusic/ About alexrainbirdMusic: Since 2011, Alex Rainbird has been hunting down and showcasing the very best in independent music. Featuring over 50 new artists a month, Alex hopes to provide a platform for underrated musicians to be heard and for viewers to find their new favourite band. Join Alex's +100,000 subscribers today to be the first to hear the finest independent music! 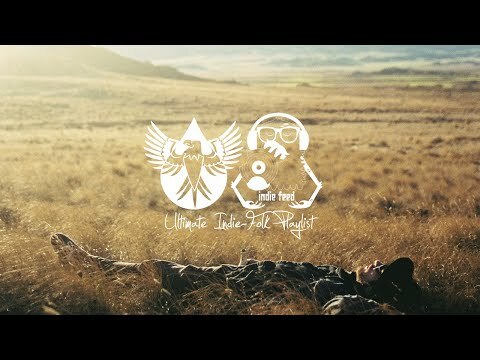 Lay in the sun and listen to my selection of the best indie-folk music. Tracklist and download below… DOWNLOAD: http://hyperurl.co/FolkSummer17 » Subscribe to be the first to hear the best new independent music! http://bit.ly/145fFnx ✉ Please contact alexrainbirdmusic@gmail.com if you’d like your music to be featured on my channel. 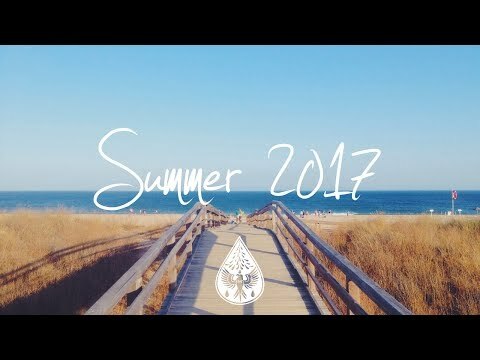 DOWNLOAD THIS COMPILATION: http://hyperurl.co/FolkSummer17 Tracklist: 0:00 Wolf and Willow -- ‘Seaside’ https://www.facebook.com/wolfandwillow/ http://spoti.fi/2saA8W5 Download: http://hyperurl.co/FolkSummer17 3:58 Coco Méliès -- ‘Paperplane’ https://www.facebook.com/coco.melies.mtl/ http://spoti.fi/2sAv6EF Download: http://apple.co/2sAlF8g 7:20 Graeme James -- 'Alive’ https://www.facebook.com/graemejamesmusic/ http://spoti.fi/2sahiOI Download: https://graemejames.bandcamp.com/album/news-from-nowhere 11:15 Callum Pitt -- ‘Least He’s Happy’ https://www.facebook.com/callumpittmusic/ http://spoti.fi/2tm480n Download: http://hyperurl.co/FolkSummer17 15:33 The Arcadian Wild -- 'Willow' https://www.facebook.com/thearcadianwild/ http://spoti.fi/2cOBhe5 Download: http://hyperurl.co/FolkSummer17 20:18 GRIMME -- 'From the Birds’ https://www.facebook.com/GrimmeMusic/ http://spoti.fi/2rrjVi3 Download: http://hyperurl.co/FolkSummer17 24:01 Michael Barrow & The Tourists -- ‘Hey, Hey, Hey’ https://www.facebook.com/michaelbarrowmusic/ http://spoti.fi/2qQ9Vvg Download: http://hyperurl.co/MichaelBarrowAndTT 26:50 In the city -- ‘Changing Tides’ https://www.facebook.com/inthecityband http://spoti.fi/2soz2YD Download: http://hyperurl.co/FolkSummer17 29:54 Bernardus -- ‘Sleepy-Eyed Thoughts’ https://www.facebook.com/bernardusmusic/ http://spoti.fi/2rroLfh Download: http://hyperurl.co/FolkSummer17 34:02 Joe Hicks -- ‘Talk To Me’ https://www.facebook.com/joehicksmusic/ http://spoti.fi/2ssG0wL Download: http://hyperurl.co/FolkSummer17 38:58 Holly Arrowsmith -- ‘Voices of Youth’ https://www.facebook.com/Holly-Arrowsmith-137787636322091/ http://spoti.fi/2t1GPJL Download: http://apple.co/2t1RYdH 42:50 Richy Mitch & The Coal Miners -- ‘Lake Missoula’ https://www.facebook.com/RMCMBand/ http://spoti.fi/2sslBYy Download: http://hyperurl.co/FolkSummer17 44:32 John Allred -- 'Someone to Rely On' https://www.facebook.com/john.allred/ http://spoti.fi/2t26Okf Download: http://hyperurl.co/FolkSummer17 48:18 BRVTHR -- ‘Here We Are’ https://www.facebook.com/BRVTHR/ http://spoti.fi/2ssqOzx Download: http://hyperurl.co/FolkSummer17 51:56 Poro -- 'Sundown' https://www.facebook.com/poromusic/ http://spoti.fi/2s123cj Download: http://hyperurl.co/FolkSummer17 55:18 Sheldoncole -- 'West Coast' https://www.facebook.com/sheldoncolek/ http://spoti.fi/2rrGV0h Download: http://hyperurl.co/FolkSummer17 58:49 We Were Strangers -- ‘Giving It All Away’ https://soundcloud.com/wewerestrangers-2 https://www.facebook.com/wewerestrangersmusic Download: http://hyperurl.co/FolkSummer17 1:03:49 Teenman -- ‘Alley Road/Evolution’ https://soundcloud.com/tuffbranschrecords http://spoti.fi/2ta5j3x Download: http://hyperurl.co/FolkSummer17 1:07:09 Laney Jones -- ‘Bad Luck Charm’ https://www.facebook.com/misslaneyjones/ http://spoti.fi/1Tmz7zm Download: http://apple.co/2sayljD 1:10:46 Dan Clews -- ‘Mountain’ https://www.facebook.com/danclewsofficial/ http://spoti.fi/2tmpWcl Download: http://hyperurl.co/FolkSummer17 1:14:36 Monaco à Go-Go -- ‘And Off You Go’ http://monacoagogo.bandcamp.com/ http://www.monacoagogo.de/ Download: http://hyperurl.co/FolkSummer17 1:17:46 Ebb&Nova -- ‘Willow’ https://www.facebook.com/ebbandnova/ https://soundcloud.com/ebbandnova Download: http://hyperurl.co/FolkSummer17 1:22:31 Clouds And Thorns -- ‘Blue Sky Days’ https://www.facebook.com/CloudsAndThorns/ http://spoti.fi/2sgZe89 Download: http://hyperurl.co/CloudsAndThorns DOWNLOAD THIS COMPILATION: http://hyperurl.co/FolkSummer17 Find alexrainbirdMusic on: Official website: http://www.alexrainbirdmusic.com/ Patreon (to raise money for a music festival! ): https://www.patreon.com/alexrainbirdMusic Facebook: https://www.facebook.com/alexrainbirdMusic Twitter: https://twitter.com/alxrnbdMusic Spotify: https://open.spotify.com/user/alxrnbrdmusic/playlist/3fXgOc95i2oevn5jdK0JAY Soundcloud: https://soundcloud.com/alexrainbirdmusic Instagram: https://instagram.com/alexrainbirdmusic/ Snapchat: alx_rnbrd Vlog channel: https://www.youtube.com/channel/UCEJul3P9FgGr4LQ9mhG9mJg Official merchandise: https://www.teepublic.com/user/alexrainbirdmusic About alexrainbirdMusic: Since 2011, Alex Rainbird has been hunting down and showcasing the very best in independent music. Featuring over 70 new artists a month, Alex hopes to provide a platform for underrated musicians to be heard and for viewers to find their new favourite band. Join Alex's +240,000 subscribers today to be the first to hear the finest independent music! 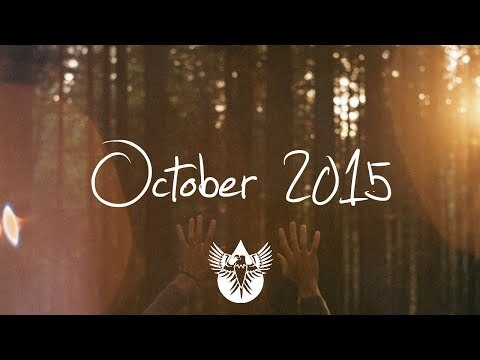 Watch the leaves change colour with an hour of the best indie music. Tracklist and download below… DOWNLOAD: http://hyperurl.co/October16Indie Subscribe to be the first to hear the best new independent music! http://bit.ly/145fFnx Please contact alexrainbirdmusic@gmail.com if you’d like your music to be featured on my channel. DOWNLOAD THIS COMPILATION: http://hyperurl.co/October16Indie Tracklist: 0:00 Castro -- ‘Diamond Dreams’ https://www.facebook.com/CastroBandOfficial/ https://open.spotify.com/artist/1qXuwKQR0iK6HBmJO3n0SZ Download: http://prourls.co/RO3q 3:13 Tim Atlas -- ‘Wander’ https://www.facebook.com/timatlasmusic/ https://soundcloud.com/timatlas Download: http://hyperurl.co/October16Indie 7:15 The Tide Rose -- 'Ferris Wheel’ https://www.facebook.com/thetiderose/ https://thetiderose.bandcamp.com/releases Download: http://hyperurl.co/October16Indie 9:50 Bird Passengers -- ‘Brave the Dark’ https://www.facebook.com/birdpassengers/ https://soundcloud.com/birdpassengers Download: http://hyperurl.co/October16Indie 13:37 Mark Diamond -- 'Dark Matter' https://www.facebook.com/MarkDiamondMusic https://soundcloud.com/markdiamond Download: http://prourls.co/vK8n 17:04 Ira Wolf -- 'Honest’ https://www.facebook.com/irawolfmusic https://soundcloud.com/irawolfmusic Download: http://prourls.co/pnR8 20:45 Branches -- ‘Burn’ https://www.facebook.com/soundslikebranches/ https://soundcloud.com/soundslikebranches/ Download: https://itunes.apple.com/us/album/white-flag/id1151785947 24:58 Quinn Lewis -- ‘Heartbreaker’ https://www.facebook.com/QuinnLewisMusic https://soundcloud.com/quinn-lewis-music Download: http://prourls.co/sffh 28:37 Pallet House -- ‘Artificial Virtue’ http://facebook.com/pallethousemusic http://instagram.com/pallethousemusic http://twitter.com/pallethouse_ https://soundcloud.com/pallethousemusic Download: http://hyperurl.co/October16Indie 32:03 Trading Alaska -- ‘Famous’ https://www.facebook.com/TradingAlaska/ https://soundcloud.com/tradingalaska Download: http://hyperurl.co/October16Indie 34:59 Tay Oksee -- ‘That Place’ https://www.facebook.com/tayoskee https://www.instagram.com/tay_oskee_music/ https://www.youtube.com/c/TayOskee http://tayoskee.com/ Download: http://hyperurl.co/October16Indie 39:43 Fialta -- ‘Japanese Novelty Shop’ https://www.facebook.com/fialta https://soundcloud.com/fialtamusic Download: http://hyperurl.co/October16Indie 43:07 Lewisland -- 'Say The Same' https://www.facebook.com/lewislandofficial/ https://soundcloud.com/lewislandofficial Download: http://hyperurl.co/October16Indie 47:03 Jon Prezant -- ‘I’m Not Ready For You To Leave Me Yet’ https://www.facebook.com/jonprezantmusic/ https://soundcloud.com/jonprezant Download: http://hyperurl.co/October16Indie 51:34 Skymachine -- 'Young Guns' https://www.facebook.com/skymachinemusic/ https://soundcloud.com/skymachinemusic Download: http://www.skymachine.co/ 55:28 Common Jack -- 'Spanish Bird' https://www.facebook.com/CommonJackMusic/ https://soundcloud.com/commonjack Download: http://hyperurl.co/October16Indie 1:02:22 Elizabeth Hunter -- ‘Coming for You’ https://www.facebook.com/ElizabethHunterMusic/ https://open.spotify.com/artist/4iw3jgXYBwZrTj0IfVUR5Y Download: http://hyperurl.co/October16Indie 1:03:13 Tim Qualls -- ‘Say You Love Me’ https://www.facebook.com/timquallsmusic/ https://soundcloud.com/timquallsmusic Download: http://hyperurl.co/October16Indie 1:07:25 Cinders -- ‘The River Bank’ https://www.facebook.com/cindersmusic/ http://www.cindersmusic.com/ https://open.spotify.com/artist/3kbFTAkkC68vVXA87WHDS4 Download: http://hyperurl.co/z319du DOWNLOAD THIS COMPILATION: http://hyperurl.co/October16Indie Find alexrainbirdMusic on: Official website: http://www.alexrainbirdmusic.com/ Facebook: https://www.facebook.com/alexrainbirdMusic Twitter: https://twitter.com/alxrnbdMusic Spotify: https://play.spotify.com/user/alxrnbrdmusic/playlist/5kiNj8BLGBfKLwASSxLu2U Soundcloud: https://soundcloud.com/alexrainbirdmusic Instagram: https://instagram.com/alexrainbirdmusic/ Snapchat: alx_rnbrd Official merchandise - Worldwide store: http://shop.spreadshirt.com/alexrainbirdMusic/ About alexrainbirdMusic: Since 2011, Alex Rainbird has been hunting down and showcasing the very best in independent music. Featuring over 50 new artists a month, Alex hopes to provide a platform for underrated musicians to be heard and for viewers to find their new favourite band. Join Alex's +110,000 subscribers today to be the first to hear the finest independent music! 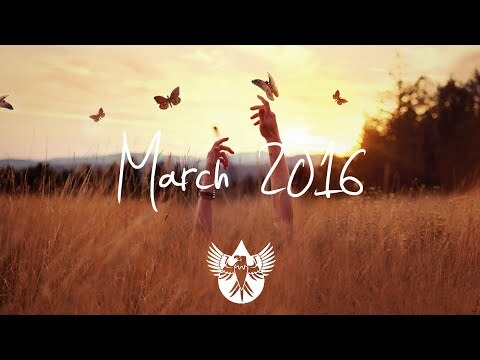 Kick off Spring with over an hour of the best indie music. Tracklist and download below… DOWNLOAD: http://hyperurl.co/MarchItunes Subscribe to be the first to hear the best new independent music! http://bit.ly/145fFnx Please contact alexrainbirdmusic@gmail.com if you’d like your music to be featured on my channel. DOWNLOAD THIS COMPILATION: http://hyperurl.co/MarchItunes Tracklist: 0:00 Noah Kenton -- ‘Crimson’ https://www.facebook.com/noahkentonmusic/ https://soundcloud.com/noahkenton Download: http://hyperurl.co/MarchItunes 3:39 POPFILTER -- ‘Empire’ http://www.popfilter.band/ https://www.facebook.com/Popfilterband https://soundcloud.com/popfilterband Download: https://noisetrade.com/popfilterband/empire-single 7:33 Dillon Bhana -- 'Still’ https://soundcloud.com/dillon-bhana https://www.instagram.com/dillonbhana/ Download: http://hyperurl.co/MarchItunes 11:03 Team William -- ‘Poets’ https://www.facebook.com/teamwilliam https://soundcloud.com/team-william Download: http://azon.ly/teamwilliam 13:47 Stephen Salewon -- 'Give It All' https://www.facebook.com/stephensalewon/?ref=hl https://soundcloud.com/stephen-salewon Download: https://stephensalewon.bandcamp.com/ 17:14 Griswold -- 'DECT’ http://griswoldmusic.com/ http://facebook.com/griswoldmusic/ https://open.spotify.com/album/5tZpmJzLQA7WJ1kwlFUFEP Download: https://itunes.apple.com/us/album/glue-ep/id1027381076 20:25 Amarante -- ‘Denial’ https://www.facebook.com/Amarantemusic https://soundcloud.com/amarantemusic Download: http://hyperurl.co/MarchItunes 25:18 Hey Way -- ‘Fast But Slow’ https://www.facebook.com/theheyway https://soundcloud.com/heywaymusic Download: http://hyperurl.co/MarchItunes 29:21 Memoryy -- ‘Feeling Sinister’ https://www.facebook.com/memoryymusic/ https://soundcloud.com/memoryy Download: http://hyperurl.co/MarchItunes 33:44 Revive Us -- ‘Brother’ https://www.facebook.com/reviveusmusic https://soundcloud.com/revive_us Download: http://hyperurl.co/MarchItunes 38:36 The Elk Tribe -- ‘Anthem’ https://www.facebook.com/TheElkTribe http://www.elktribe.com/ Download: http://hyperurl.co/MarchItunes 41:42 Cold Weather Company -- ‘Wide-Eyed’ https://www.facebook.com/ColdWeatherCompany https://soundcloud.com/cold-weather-company Download: http://hyperurl.co/MarchItunes 45:49 Colorstarr -- 'Sleepless' http://www.colorstarr.com/ https://www.facebook.com/Colorstarr Download: https://itunes.apple.com/au/album/sleepless-ep/id1065743528 49:36 Late Cambrian -- ‘Yearbook Photo’ https://www.facebook.com/LateCambrian/ https://soundcloud.com/latecambrian Download: http://hyperurl.co/MarchItunes 53:50 Abby Flynn -- 'Until It’s Done' http://www.abbyflynn.com/music/ https://twitter.com/truthsetsfree Download: http://abbyflynn.bandcamp.com/album/fear-ep 58:03 The Rebel Light -- 'Strangers' http://www.facebook.com/TheRebelLight https://soundcloud.com/therebellight Download: https://itunes.apple.com/us/album/strangers-single/id1050192566 1:01:26 The Lunar Year -- ‘As Your Own’ https://www.facebook.com/The-Lunar-Year-876071692492136 https://soundcloud.com/thelunaryear Download: http://hyperurl.co/MarchItunes 1:04:32 Dillon Bhana -- ‘Done’ https://soundcloud.com/dillon-bhana https://www.instagram.com/dillonbhana/ Download: http://hyperurl.co/MarchItunes 1:07:39 The Elk Tribe -- ‘Willow Tree’ https://www.facebook.com/TheElkTribe http://www.elktribe.com/ Download: http://hyperurl.co/MarchItunes DOWNLOAD THIS COMPILATION: http://hyperurl.co/MarchItunes Find alexrainbirdMusic on: Official website: http://www.alexrainbirdmusic.com/ Facebook: https://www.facebook.com/alexrainbirdMusic Twitter: https://twitter.com/alxrnbdMusic Spotify: https://play.spotify.com/user/alxrnbrdmusic/playlist/5kiNj8BLGBfKLwASSxLu2U Soundcloud: https://soundcloud.com/alexrainbirdmusic Instagram: https://instagram.com/alexrainbirdmusic/ Official merchandise - US & worldwide customers: http://shop.spreadshirt.com/alexrainbirdMusic/ UK customers: http://shop.spreadshirt.co.uk/alexrainbirdmusic About alexrainbirdMusic: Since 2011, Alex Rainbird has been hunting down and showcasing the very best in independent music. Featuring over 50 new artists a month, Alex hopes to provide a platform for underrated musicians to be heard and for viewers to find their new favourite band. Join Alex's +71,000 subscribers today to be the first to hear the finest independent music! 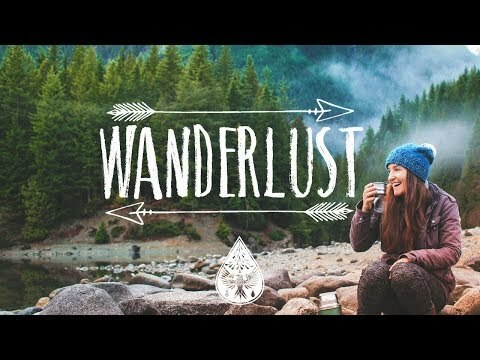 Travel to distant places with this dreamy indie selection! Tracklist & Spotify link below… 👇 LISTEN ON SPOTIFY: https://spoti.fi/2LlraxL » Subscribe to be the first to hear the best new independent music! http://bit.ly/145fFnx ✉ Please contact alexrainbirdmusic@gmail.com if you’d like your music to be featured on our channel. 💿 Tracklist: 0:00 Harrison Storm -- ‘Feeling You’ https://spoti.fi/2N987HB https://www.facebook.com/harrisonstormmusic/ Downloads: https://apple.co/2uf6Jfx 3:15 Jon Bryant -- ‘At Home’ https://spoti.fi/2uwQFF0 https://www.facebook.com/jonbryantmusic/ Download: https://apple.co/2zKNPCz 6:53 Dustin Tebbutt -- 'Love is Blind’ https://spoti.fi/2mdbUbj https://www.facebook.com/DustinTebbuttMusic/ Download: https://apple.co/2NMtJuo 10:39 Hollow Coves – ‘Ran Away’ https://spoti.fi/2urO13y https://www.facebook.com/HollowCoves/ Download: https://apple.co/2ul4IhP 14:43 Johnnyswim / Drew Holcomb & the Neighbors -- ‘Just Your Memory’ (feat. Penny & Sparrow) https://www.facebook.com/JOHNNYSWIM/ https://spoti.fi/2NdXbsg Download: https://apple.co/2um2HSs 17:35 Beta Radio -- 'Our Remains’ https://spoti.fi/2uiChRA https://www.facebook.com/wearebetaradio/ Download: https://apple.co/2LgyniO 21:33 INDOLORE -- ‘Let Me Find Out’ https://spoti.fi/2uu80yt https://www.facebook.com/indoloremusic/ Download: https://apple.co/2KRWxUp 25:50 All Faces -- ‘The Oaks’ https://spoti.fi/2KSTWcY https://www.facebook.com/allfacesband/ Download: https://spoti.fi/2KSTWcY 29:26 KIN -- ‘Margins’ https://spoti.fi/2ukGxA7 https://www.facebook.com/musicofkin/ Download: https://apple.co/2JkYFi9 33:49 Baswod -- ‘Sundays’ https://spoti.fi/2LfFojR https://www.facebook.com/baswod/ Download: https://apple.co/2NPCZOf 37:04 Andrew & Veda -- ‘Alive’ https://spoti.fi/2L5CaCv https://www.facebook.com/andrewandveda/ Download: https://apple.co/2JfCxqv 41:13 Dhruv Visvanath -- ‘Wild’ https://spoti.fi/2ujivFu https://www.facebook.com/mrdhruvv/ Download: https://apple.co/2LdVudK 44:50 Connor McCoy -- ‘Follow Through’ https://spoti.fi/2N7UNTC https://www.facebook.com/connormccoymusic/ Download: https://apple.co/2LfFyrx 48:32 Firewoodisland -- 'Knot’ https://spoti.fi/2JlBxjo https://www.facebook.com/firewoodisland/ Download: https://apple.co/2L6ONxf 52:16 Ethansroom -- ‘Talk To You’ https://spoti.fi/2mfTtD3 https://www.facebook.com/ethansroom/ Download: https://apple.co/2L5DK7p 55:40 Frances Luke Accord -- ‘Maria’ https://spoti.fi/2K9W4ZG https://www.facebook.com/franceslukeaccord/ Download: https://apple.co/2HVXCFX 57:36 Martin Baltser -- ‘Hypothermia’ https://spoti.fi/2LgDjnQ https://www.facebook.com/martinbaltser/?fref=mentions Download: https://apple.co/2NMwYSA 1:01:15 Jon Middleton -- ‘I See You’ https://spoti.fi/2Jkqo25 https://www.facebook.com/jonmiddletonmusik/ Download: https://apple.co/2EJKceN 1:04:12 Cypress -- ‘Oh Canada’ https://spoti.fi/2N9eyub https://www.facebook.com/musicbycypress/ Download: https://apple.co/2KRltve 1:08:01 Leathan Milne -- ‘Now I Say Goodnight’ https://spoti.fi/2KVGLb9 https://www.facebook.com/leathanmilnemusic/ Download: https://apple.co/2NcYEiB 1:11:52 Andrew James & The Steady Tiger -- ‘Under The Umbrella’ https://spoti.fi/2mebAJq https://www.facebook.com/agulhasmusic/ Download: https://apple.co/2KQHc6F 1:16:29 Daniel Daniel -- ‘Waves’ https://spoti.fi/2Jl2LXz https://www.facebook.com/DanielDanielOfficial/ Download: https://apple.co/2L3bd2z 1:20:54 Hendricksen -- ‘If She’s Gone’ https://spoti.fi/2NfJJEj https://soundcloud.com/user-569446332-138361578 Download: https://apple.co/2ujoN84 1:25:11 Ade Mai -- ‘Miles’ https://spoti.fi/2GBKmVB https://www.facebook.com/ademaiofficial/ Download: http://hyperurl.co/AdeMaiMiles 🌧️ 🐦 Find alexrainbirdMusic on: Official website: http://www.alexrainbirdmusic.com/ Spotify: https://open.spotify.com/user/alxrnbrdmusic/playlist/2gCHaXDsqqmjpec20FN5Lc Facebook: https://www.facebook.com/alexrainbirdMusic Patreon (to raise money for a music festival! ): https://www.patreon.com/alexrainbirdMusic Twitter: https://twitter.com/alxrnbdMusic Soundcloud: https://soundcloud.com/alexrainbirdmusic Instagram: https://instagram.com/alexrainbirdmusic/ 👕 Official merchandise: https://www.teepublic.com/user/alexrainbirdmusic ❓ About alexrainbirdMusic: Since 2011, Alex Rainbird has been hunting down and showcasing the very best in independent music. Joined by his girlfriend Beth as of 2017, the couple feature over 70 new artists a month, and hope to provide a platform for underrated musicians to be heard and for viewers to find their new favourite band. Join their +440,000 subscribers today to be the first to hear the finest independent music! 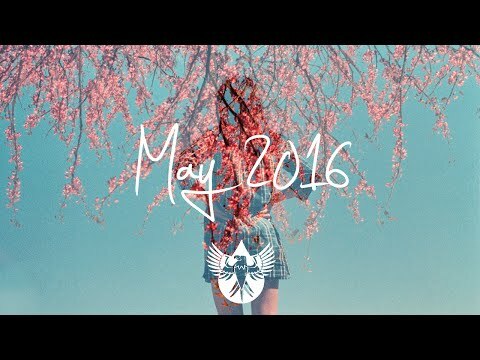 Start your summer soundtrack with over an hour of the best indie music. Tracklist and download below… DOWNLOAD: http://hyperurl.co/JulyIndiePopDL Subscribe to be the first to hear the best new independent music! http://bit.ly/145fFnx Please contact alexrainbirdmusic@gmail.com if you’d like your music to be featured on my channel. DOWNLOAD THIS COMPILATION: http://hyperurl.co/JulyIndiePopDL Tracklist: 0:00 John Splithoff -- ‘Sing To You’ https://www.facebook.com/SplithoffMusic/ https://soundcloud.com/john-splithoff Download: http://azon.ly/JohnSplithoff 3:25 Cinders -- ‘Locked Up’ https://www.facebook.com/cindersmusic/ http://www.cindersmusic.com/ https://open.spotify.com/artist/3kbFTAkkC68vVXA87WHDS4 Download: http://hyperurl.co/z319du 7:10 Fialta -- 'Do The Best We Can’ https://www.facebook.com/fialta https://soundcloud.com/fialtamusic Download: http://azon.ly/Fialta 11:16 H O M E -- ‘Summer2006’ https://www.facebook.com/homeplaysmusic/ https://www.instagram.com/homeplaysmusic/ https://soundcloud.com/homeplaysmusic https://open.spotify.com/artist/1BjyKAULRt99m3BzhsS9nZ Download: https://soundcloud.com/homeplaysmusic/summer2006 14:31 PLAID BRIXX -- 'The Greener Side' https://www.facebook.com/PLAIDBRIXX https://soundcloud.com/plaidbrixx Download: http://hyperurl.co/JulyIndiePopDL 18:42 Doji -- 'Foreign Fields’ https://www.facebook.com/dojimusic https://soundcloud.com/dojimusic Download: http://azon.ly/Doji 22:32 Forest Falls -- ‘Archipelago Heart’ https://www.facebook.com/forestfallsband https://soundcloud.com/forestfalls http://www.quietgiant.com.au/ Download: https://soundcloud.com/forestfalls/archipelago-heart-1 26:13 We Are Magnetic -- ‘Shut The Lights’ https://www.facebook.com/wearemagneticband https://soundcloud.com/wearemagnetic Download: http://hyperurl.co/JulyIndiePopDL 30:14 Ludvig Moon -- ‘Cult Baby’ https://www.facebook.com/ludvigmoon/ https://soundcloud.com/ludvigmoon Download: http://azon.ly/LudvigMoon 33:37 Wylder -- ‘Strange Weather’ https://www.facebook.com/Wyldermusic/ https://soundcloud.com/wyldermusic Download: http://azon.ly/Wylder 38:01 Land Of Trees -- ‘Wild Wind’ https://www.facebook.com/LandOfTreesMusic/ https://soundcloud.com/landoftreesmusic Download: N/A 41:30 Lofty Stills -- ‘Lost You’ https://www.facebook.com/loftystills/ https://soundcloud.com/loftystills Download: http://azon.ly/LoftyStills 44:48 Shapes On Tape -- 'Personal Enemy #1' https://www.facebook.com/shapesontape/ https://soundcloud.com/shapesontape Download: http://hyperurl.co/JulyIndiePopDL 48:41 Mitchell Rose -- ‘Candy’ https://www.facebook.com/MitchellRoseMusic/ https://soundcloud.com/mitchellrose Download: http://azon.ly/MitchellRose 52:08 Colton Kayser -- 'Place To Settle' https://www.facebook.com/coltonkayser/ https://soundcloud.com/coltonkayser Download: http://hyperurl.co/JulyIndiePopDL 55:00 Amarante -- 'Change Your World' https://www.facebook.com/Amarantemusic/ https://soundcloud.com/amarantemusic Download: http://hyperurl.co/JulyIndiePopDL 58:54 Rasmus Brix -- ‘Josefine’ https://www.facebook.com/rasbrix https://soundcloud.com/rasmus-brix Download: http://hyperurl.co/JulyIndiePopDL 1:03:24 Stevie B Wolf -- ‘Flights’ https://www.facebook.com/Steviebwolfmusic/ https://soundcloud.com/steviebwolf Download: http://azon.ly/StevieBWolf 1:06:49 Land Of Trees -- ‘Patient And Quiet’ https://www.facebook.com/LandOfTreesMusic/ https://soundcloud.com/landoftreesmusic Download: http://azon.ly/LandOfTrees 1:09:45 Noble Kids -- ‘Ghosts’ https://www.facebook.com/noblekids2013 https://noblekids.bandcamp.com/ @Noblekidsmusic (Instagram/Twitter) Download: http://hyperurl.co/JulyIndiePopDL 1:13:35 Justin Klump -- ‘Ghost Town’ https://www.facebook.com/justinkmusic/ https://soundcloud.com/justinklump Download: http://azon.ly/Klump DOWNLOAD THIS COMPILATION: http://hyperurl.co/JulyIndiePopDL Find alexrainbirdMusic on: Official website: http://www.alexrainbirdmusic.com/ Facebook: https://www.facebook.com/alexrainbirdMusic Twitter: https://twitter.com/alxrnbdMusic Spotify: https://play.spotify.com/user/alxrnbrdmusic/playlist/5kiNj8BLGBfKLwASSxLu2U Soundcloud: https://soundcloud.com/alexrainbirdmusic Instagram: https://instagram.com/alexrainbirdmusic/ Official merchandise - Worldwide store: http://shop.spreadshirt.com/alexrainbirdMusic/ About alexrainbirdMusic: Since 2011, Alex Rainbird has been hunting down and showcasing the very best in independent music. Featuring over 50 new artists a month, Alex hopes to provide a platform for underrated musicians to be heard and for viewers to find their new favourite band. Join Alex's +98,000 subscribers today to be the first to hear the finest independent music! 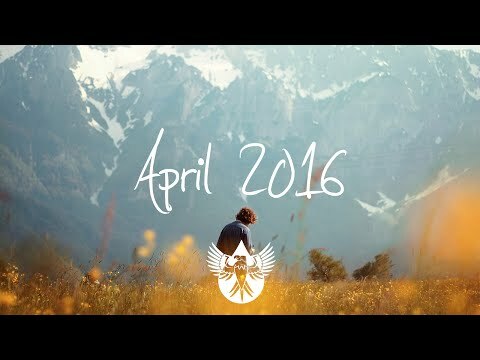 Brighten your day with the best indie-folk music in our spring compilation! Tracklist & download below… 👇 LISTEN ON SPOTIFY: https://spoti.fi/2XYM7W5 » Subscribe to be the first to hear the best new independent music! http://bit.ly/145fFnx ✉ Please contact alexrainbirdmusic@gmail.com if you’d like your music to be featured on our channel. 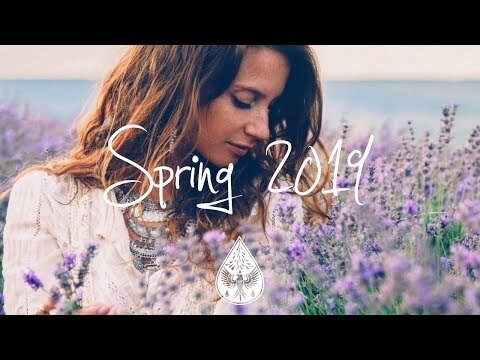 🎵 DOWNLOAD THIS COMPILATION: http://hyperurl.co/IndieFolkSpring19 💿 Tracklist: 0:00 Woodes -- ‘Still So Young’ https://spoti.fi/2TIRs4y https://www.facebook.com/woodesmusic/ Download: https://apple.co/2Uuab0O 4:20 Jared Salte – ‘When I Grow Up’ https://spoti.fi/2EXuqNX https://www.facebook.com/JaredSalteMusic/ Downloads: https://apple.co/2Fa6sAw 7:55 Sam Garrett -- 'The Dance & The Wonder’ https://spoti.fi/2u2Vd6m https://www.facebook.com/samgarrettmusic/ Download: http://hyperurl.co/IndieFolkSpring19 13:05 Sabel -- ‘April’ https://spoti.fi/2O1Gl1t https://www.facebook.com/sabelmusic/ Download: http://hyperurl.co/IndieFolkSpring19 16:31 Canyon City -- 'When I Fell’ https://spoti.fi/2CjAekb https://www.facebook.com/CanyonCityMusic/ Download: https://apple.co/2UzP65c 20:29 NOAHS -- 'Carry On’ https://spoti.fi/2O8DnIB https://www.facebook.com/noahsoundsmusic/ Download: http://hyperurl.co/IndieFolkSpring19 24:26 Kate Gillespie -- ‘Not Having Fun’ https://spoti.fi/2VTPBap https://www.facebook.com/kategillespiemusic/ Download: http://hyperurl.co/IndieFolkSpring19 27:30 Tōth -- ‘Copilot’ https://spoti.fi/2TvRihw https://www.facebook.com/Tothtunes/ Download: https://apple.co/2J81iZH 31:28 Jackson Wooten -- ‘Dirt’ https://spoti.fi/2Ho6dEj https://www.facebook.com/jacksonwootenmusic/ Download: https://apple.co/2FbFNDn 36:46 The Bull Brothers -- ‘Song for Dylan’ https://spoti.fi/2TEw412 https://www.facebook.com/thebullbrothers/ Download: http://hyperurl.co/IndieFolkSpring19 39:32 Frances Luke Accord -- ‘Little Lie’ https://spoti.fi/2JdzP94 https://www.facebook.com/franceslukeaccord/ Download: https://apple.co/2O4Ssuz 42:37 Matthew Gordon Price – ‘Vos’ https://spoti.fi/2W1RbHA https://www.facebook.com/MatthewGordonPrice/ Download: http://hyperurl.co/IndieFolkSpring19 47:10 James Ollier -- ‘Nomad Frays’ https://spoti.fi/2VWCKUY https://www.facebook.com/JamesOllierMusic/ Download: http://hyperurl.co/IndieFolkSpring19 52:33 Adam Harpaz -- ‘Home’ https://spoti.fi/2F5uA5J https://www.facebook.com/adamharpazmusic/ Download: https://apple.co/2VY0hF9 55:05 Wolf and Willow -- ‘Into the Night’ https://spoti.fi/2UBtzsS https://www.facebook.com/wolfandwillow/ Download: http://hyperurl.co/IndieFolkSpring19 59:01 Mark Wilkinson -- ‘Thought You’d Be Around’ https://spoti.fi/2FcaUyG https://www.facebook.com/markwilkinsonmusic/ Download: https://apple.co/2JexaMd 1:02:48 William Hinson -- ‘Ireland’ https://spoti.fi/2HCSacW https://www.facebook.com/williamhinsonmusic/ Download: https://apple.co/2XXWGsz 1:05:39 Sandtimer -- ‘209’ https://spoti.fi/2Hyk9dO https://www.facebook.com/sandtimermusic/ Download: https://apple.co/2CjDs7o 1:09:28 St. Pete Holland -- ‘Different Hymn’ https://spoti.fi/2JdcPqv https://www.instagram.com/st_pete_holland/ Download: http://hyperurl.co/IndieFolkSpring19 1:14:56 Timo Brandt -- ‘In the Darkness’ https://spoti.fi/2XWiViu https://www.facebook.com/timobrandtmusic/ Download: https://apple.co/2Fb5TGw 1:19:31 Fanny Price -- ‘Reverie’ https://spoti.fi/2u9gwTM http://fannypricemusic.com/ Download: http://hyperurl.co/IndieFolkSpring19 🎵 DOWNLOAD THIS COMPILATION: http://hyperurl.co/IndieFolkSpring19 🌧️ 🐦 Find alexrainbirdMusic on: Official website: http://www.alexrainbirdmusic.com/ Spotify: https://open.spotify.com/user/alxrnbrdmusic/playlist/2gCHaXDsqqmjpec20FN5Lc Facebook: https://www.facebook.com/alexrainbirdMusic Twitter: https://twitter.com/alxrnbdMusic Soundcloud: https://soundcloud.com/alexrainbirdmusic Instagram: https://instagram.com/alexrainbirdmusic/ Patreon: https://www.patreon.com/alexrainbirdMusic 👕 Official merchandise: https://www.teepublic.com/stores/alexrainbirdmusic ❓ About alexrainbirdMusic: Since 2011, Alex Rainbird has been hunting down and showcasing the very best in independent music. Joined by his girlfriend Beth as of 2017, the couple feature over 70 new artists a month, and hope to provide a platform for underrated musicians to be heard and for viewers to find their new favourite band. Join their +600,000 subscribers today to be the first to hear the finest independent music! 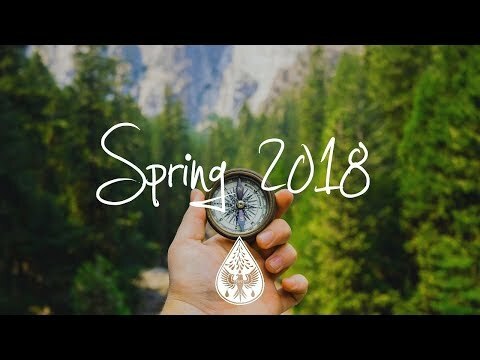 Put a spring in your step with over an hour of the best indie music. Tracklist and download below… DOWNLOAD: http://hyperurl.co/AprilIndieDownload Subscribe to be the first to hear the best new independent music! http://bit.ly/145fFnx Please contact alexrainbirdmusic@gmail.com if you’d like your music to be featured on my channel. DOWNLOAD THIS COMPILATION: http://hyperurl.co/AprilIndieDownload Tracklist: 0:00 Cinders -- ‘Hope You Do’ https://www.kickstarter.com/projects/1574219268/cinders-debut-album https://www.facebook.com/cindersmusic/ http://www.cindersmusic.com/ https://soundcloud.com/cindersmusic Download: http://hyperurl.co/AprilIndieDownload 4:45 Simen Mitlid -- ‘Vacation’ https://www.facebook.com/simenmitlidofficial https://soundcloud.com/simenmitlid Download: http://azon.ly/SimenMitlid 7:59 Bird Passengers -- 'Wanderer’ https://www.facebook.com/birdpassengers https://soundcloud.com/birdpassengers Download: http://hyperurl.co/AprilIndieDownload 11:40 Daniel Sumstine -- ‘All That’s Left Of You’ https://www.facebook.com/danielsumstine https://soundcloud.com/danielsumstine Download: http://danielsumstine.bandcamp.com/album/metanoia-ep 15:29 Milo Frost -- 'I Feel So Cold' https://soundcloud.com/milo-frost Download: N/A 17:17 Yakobo -- 'Plans In My Head’ https://www.facebook.com/YakoboUK http://yakobo.bandcamp.com/ Download: http://hyperurl.co/AprilIndieDownload 21:52 Nick Lopez -- ‘Let Go’ https://twitter.com/nicklopezmusic https://soundcloud.com/nicklopezmusic Download: http://hyperurl.co/AprilIndieDownload 24:54 August and After-- ‘Wolves’ https://www.facebook.com/augustandaftermusic/ https://soundcloud.com/augustandafter/ Download: http://hyperurl.co/AprilIndieDownload 29:09 Southern Holiday -- ‘Leaving Town’ https://www.facebook.com/SouthernHolidayBand https://soundcloud.com/southernholidayband Download: http://azon.ly/SouthernHoliday 33:14 Wild Rivers -- ‘Already Gone’ https://www.facebook.com/wildriversband/ https://soundcloud.com/wildriversband Download: http://hyperurl.co/AprilIndieDownload 36:52 Philip Nolan -- ‘Baby Bird’ https://soundcloud.com/philip-nolan-1 Download: http://hyperurl.co/AprilIndieDownload 40:17 Lyel -- ‘Shadow’ https://www.facebook.com/lyelmusic https://soundcloud.com/lyelmusic Download: http://hyperurl.co/AprilIndieDownload 43:37 Lightwaves -- 'Out Here' https://www.facebook.com/lightwavesmusic https://soundcloud.com/lightwavesmusic Download: http://hyperurl.co/AprilIndieDownload 47:24 Tall Tree Tales -- ‘Promises’ https://www.facebook.com/Tall-Tree-Tales-752632168125694 https://soundcloud.com/talltreetales Download: http://hyperurl.co/AprilIndieDownload 51:06 Midé -- 'Names' https://www.facebook.com/midesmusic https://soundcloud.com/midesmusic Download: http://azon.ly/Mide 54:14 Tiz McNamara -- 'Steady As You Go' https://www.facebook.com/TizMcNamaraMusic https://soundcloud.com/tiz-mcnamara-music Download: http://hyperurl.co/AprilIndieDownload 56:35 Matt Ferree -- ‘Forgot To Kiss You’ https://www.instagram.com/mattferreemusic/ https://soundcloud.com/matt-ferree Download: https://soundcloud.com/matt-ferree/forgot-to-kiss-you 1:00:10 BETABLOCK3R -- ‘What You Wanted’ https://www.facebook.com/Betablock3rMusic https://soundcloud.com/betablock3r Download: http://azon.ly/BETABLOCK3R DOWNLOAD THIS COMPILATION: http://hyperurl.co/AprilIndieDownload Find alexrainbirdMusic on: Official website: http://www.alexrainbirdmusic.com/ Facebook: https://www.facebook.com/alexrainbirdMusic Twitter: https://twitter.com/alxrnbdMusic Spotify: https://play.spotify.com/user/alxrnbrdmusic/playlist/5kiNj8BLGBfKLwASSxLu2U Soundcloud: https://soundcloud.com/alexrainbirdmusic Instagram: https://instagram.com/alexrainbirdmusic/ Official merchandise - US & worldwide customers: http://shop.spreadshirt.com/alexrainbirdMusic/ UK customers: http://shop.spreadshirt.co.uk/alexrainbirdmusic About alexrainbirdMusic: Since 2011, Alex Rainbird has been hunting down and showcasing the very best in independent music. Featuring over 50 new artists a month, Alex hopes to provide a platform for underrated musicians to be heard and for viewers to find their new favourite band. Join Alex's +77,000 subscribers today to be the first to hear the finest independent music! 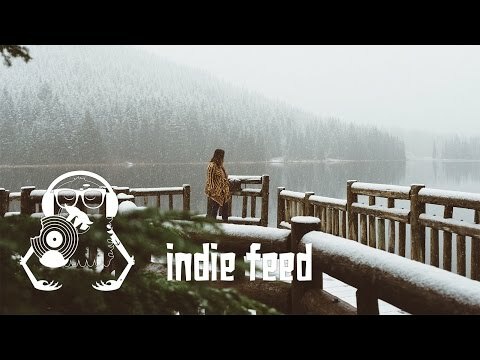 Watch the snow fall with more than an hour of the best indie/folk music. 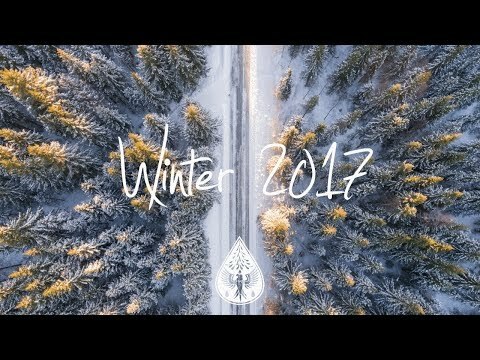 Tracklist and download below… DOWNLOAD: http://hyperurl.co/WinterFolk2016 » Subscribe to be the first to hear the best new independent music! http://bit.ly/145fFnx ✉ Please contact alexrainbirdmusic@gmail.com if you’d like your music to be featured on my channel. 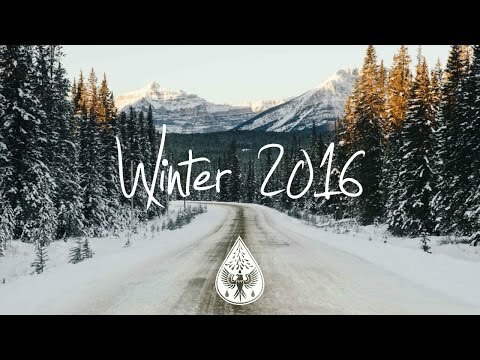 DOWNLOAD THIS COMPILATION: http://hyperurl.co/WinterFolk2016 Tracklist: 0:00 Brolly -- ‘I Need Heaven’ https://www.facebook.com/brollymusic/ https://soundcloud.com/brollymusic Download: http://prourls.co/pU4L 3:44 Klondike -- ‘Brother Of My Heart’ https://www.facebook.com/klondikeband https://soundcloud.com/klondikeband Download: http://hyperurl.co/WinterFolk2016 8:22 Hanging Valleys -- 'Coast Days’ https://www.facebook.com/hangingvalleys/ https://soundcloud.com/hangingvalleys Download: http://hyperurl.co/WinterFolk2016 11:44 Cinders -- ‘Last Year’s Winter’ https://www.facebook.com/cindersmusic/ http://www.cindersmusic.com/ https://open.spotify.com/artist/3kbFTAkkC68vVXA87WHDS4 Download: http://hyperurl.co/z319du 14:57 Paul Travis -- 'Grow' https://www.facebook.com/paultravissingersongwriter/ http://sptfy.com/1m8v Download: http://hyperurl.co/WinterFolk2016 18:33 Crooked Trees -- 'Keep Falling’ https://www.facebook.com/CrookedTreesOfficial/ https://soundcloud.com/crooked-trees Download: http://hyperurl.co/WinterFolk2016 21:43 Emily Bea -- ‘Scorpio’ https://www.facebook.com/emilybeamusic/ http://sptfy.com/1m8w Download: http://prourls.co/C4Gf 25:12 Levi Robin -- ‘Days of Our Youth’ https://www.facebook.com/LeviRobinMusic/ https://soundcloud.com/levirobin Download: http://prourls.co/t0ez 30:42 August and After -- ‘Halley’ https://www.facebook.com/augustandaftermusic/ https://soundcloud.com/augustandafter Download: http://hyperurl.co/WinterFolk2016 34:47 Toledo -- ‘Alstroemeria’ https://soundcloud.com/toledo_music https://www.instagram.com/toledoband/ Download: http://hyperurl.co/WinterFolk2016 38:40 Richard Readey -- ‘Things (feat. Patricia Liu)’ http://www.youtube.com/c/richardreadey https://www.facebook.com/RickReadey Download: http://hyperurl.co/WinterFolk2016 40:54 John John Brown -- ‘The Road’ https://www.facebook.com/johnjohnbrownmusic/ https://soundcloud.com/user-674357329 Download: http://hyperurl.co/WinterFolk2016 44:36 Frances Luke Accord -- 'Nowhere To Be Found' http://franceslukeaccord.com https://www.facebook.com/franceslukeaccord https://twitter.com/FrancesLukeAcc https://open.spotify.com/artist/5QkBg1W35HTtZZMiPk134k Download: http://hyperurl.co/WinterFolk2016 47:20 Common Jack -- ‘She Don’t’ https://www.facebook.com/CommonJackMusic/ https://soundcloud.com/commonjack Download: http://hyperurl.co/WinterFolk2016 50:37 Dear June -- 'Fences' https://www.facebook.com/dearjuneband/ http://sptfy.com/1m8D Download: http://hyperurl.co/WinterFolk2016 54:58 Mike Vial -- 'A World That’s Bigger' https://www.facebook.com/mikevialmusic/ https://mikevial.bandcamp.com Download: http://hyperurl.co/WinterFolk2016 58:54 Jenna Mason-Brase -- ‘I Was In Love’ https://www.facebook.com/eorroxsox/ https://soundcloud.com/jenna-mason-brase Download: http://hyperurl.co/WinterFolk2016 1:04:13 Toledo -- ‘Sparrow in the Wood’ https://soundcloud.com/toledo_music https://www.instagram.com/toledoband/ Download: http://hyperurl.co/WinterFolk2016 1:06:34 Charlotte Evans -- ‘Stand In My Way’ https://www.facebook.com/charlotteevansmusic https://soundcloud.com/charlotteevansmusic Download: http://hyperurl.co/WinterFolk2016 1:12:33 Gordon June -- ‘Redemption’ https://www.facebook.com/gordonjunemusic/ http://sptfy.com/1m8E Download: http://hyperurl.co/WinterFolk2016 DOWNLOAD THIS COMPILATION: http://hyperurl.co/WinterFolk2016 Find alexrainbirdMusic on: Official website: http://www.alexrainbirdmusic.com/ Facebook: https://www.facebook.com/alexrainbirdMusic Twitter: https://twitter.com/alxrnbdMusic Spotify: https://play.spotify.com/user/alxrnbrdmusic/playlist/5kiNj8BLGBfKLwASSxLu2U Soundcloud: https://soundcloud.com/alexrainbirdmusic Instagram: https://instagram.com/alexrainbirdmusic/ Snapchat: alx_rnbrd Vlog channel: https://www.youtube.com/channel/UCEJul3P9FgGr4LQ9mhG9mJg Official merchandise - Worldwide store: http://shop.spreadshirt.com/alexrainbirdMusic/ About alexrainbirdMusic: Since 2011, Alex Rainbird has been hunting down and showcasing the very best in independent music. Featuring over 50 new artists a month, Alex hopes to provide a platform for underrated musicians to be heard and for viewers to find their new favourite band. Join Alex's +130,000 subscribers today to be the first to hear the finest independent music! 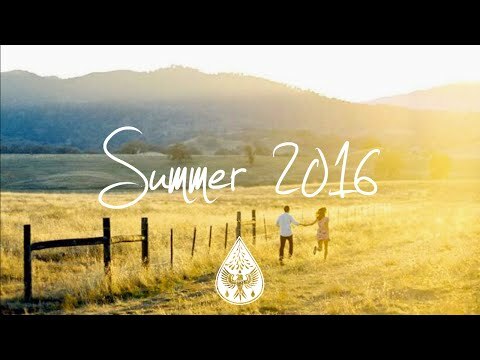 Listen to an hour of the best indie songs, perfect for long summer days. Tracklist below… Subscribe to be the first to hear the best new independent music! 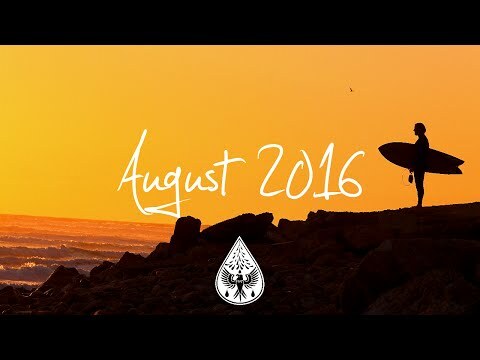 http://bit.ly/145fFnx Please contact alexrainbirdmusic@gmail.com if you’d like your band to be featured on my channel. Tracklist: 0:00 Charles William – ‘Where You Wanna Be’ https://www.facebook.com/acharleswilliam https://soundcloud.com/acharleswilliam Download: http://amzn.to/1J2cXMW 3:43 Edward R. -- ‘Wolves and the Water’ https://www.facebook.com/Edward.R.Music https://edwardr.bandcamp.com/ 6:48 Secret Company -- 'Lifeline’ https://www.facebook.com/secretcompany https://soundcloud.com/secretcompany 10:00 Ludvig Moon – ‘Swim Dream’ https://www.facebook.com/ludvigmoon https://soundcloud.com/ludvigmoon Download: http://amzn.to/1Txu3rD 14:06 Canopy Climbers -- 'Potion' https://itun.es/us/toUB6 http://www.canopyclimbersmusic.com https://www.facebook.com/canopyclimbers Twitter/Instagram: @canopyclimbers Download: http://amzn.to/1h67gYf 18:50 Anthem Academy -- 'Every Little Beat’ https://www.facebook.com/anthemacademy https://soundcloud.com/anthemacademy Download: http://amzn.to/1MpTigE 22:03 Cold Shoulders -- ‘A Thousand Little Bugs’ https://www.facebook.com/coldshouldersband https://soundcloud.com/cold-shoulders-band Download: http://amzn.to/1Pn0rNb 24:27 Sophie Elizabeth -- ‘See You In Peru’ https://soundcloud.com/sophieelizabeth-3 27:25 Clemency – ‘Color Hit the Canvas’ https://www.facebook.com/clemencymusic https://soundcloud.com/clemencymusic 30:02 Hospital – ‘Revelation’ https://www.facebook.com/wearehospital https://soundcloud.com/we-are-hospital 33:35 Jef Joslin -- ‘Come Out West’ https://www.facebook.com/JefJoslin https://soundcloud.com/jefjoslin Download: http://amzn.to/1NsKJyJ 38:35 Songs of Water -- ‘Golden Summer’ https://www.facebook.com/songsofwater https://soundcloud.com/songsofwater Download: http://amzn.to/1Pn0AAe 43:00 Vincent Liou -- 'Rain' https://www.facebook.com/vincentlioumusic https://soundcloud.com/vincentliou Download: http://amzn.to/1f9SxcT 45:44 Youth -- 'Fallen Short' https://www.facebook.com/thebandjulian https://soundcloud.com/juliandente Download: http://amzn.to/1NdaGEw 49:34 Katie and I -- 'Quicksand' https://www.facebook.com/katieandiofficial https://soundcloud.com/katie-and-i 53:28 PEAKS -- 'Lights On' https://www.facebook.com/peakswastaken https://soundcloud.com/wearepeaks Download: http://amzn.to/1TxvINX 57:10 Cheat Codes -- 'Adventure' https://www.facebook.com/cheatcodesmusic https://soundcloud.com/cheatcodesmusic Download: http://amzn.to/1HIFGFi 1:00:34 Nick Lopez -- 'Simple Things' https://www.facebook.com/nicklopeztunes https://soundcloud.com/nicklopezmusic Download: http://amzn.to/1DQ32hb 1:03:53 Diamond Mind -- 'Acid Jungle' https://www.facebook.com/diamondmindofficial https://soundcloud.com/diamond-mind-2 Download: http://amzn.to/1UF8qYY 1:07:06 Daniel Sumstine -- 'Child of Divorce' https://www.facebook.com/danielsumstine https://soundcloud.com/danielsumstine Download: http://amzn.to/1Ep3a2q Find alexrainbirdMusic on: Official website: http://www.alexrainbirdmusic.com/ Facebook: https://www.facebook.com/alexrainbirdMusic Twitter: https://twitter.com/alxrnbdMusic Spotify: https://play.spotify.com/user/alxrnbrdmusic/playlist/5kiNj8BLGBfKLwASSxLu2U Soundcloud: https://soundcloud.com/alexrainbirdmusic Instagram: https://instagram.com/alexrainbirdmusic/ Official merchandise - US & worldwide customers: http://shop.spreadshirt.com/alexrainbirdMusic/ UK customers: http://shop.spreadshirt.co.uk/alexrainbirdmusic About alexrainbirdMusic: Since 2011, Alex Rainbird has been hunting down and showcasing the very best in independent music. Featuring around 40 new artists a month, Alex hopes to provide a platform for underrated musicians to be heard and for viewers to find their new favourite band. Join Alex's +25,000 subscribers today to be the first to hear the finest independent music. Make every day a Sunday with an hour of chilled indie music and laidback folk tracks. 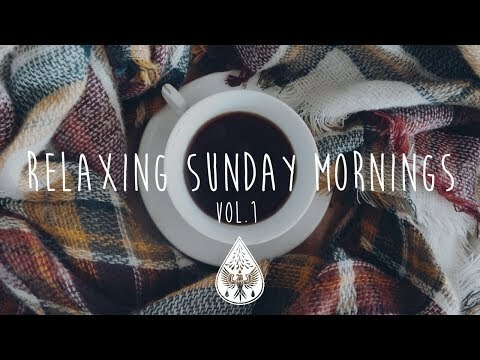 More info on my website: http://www.alexrainbirdmusic.com/relaxing-sunday-morning/ » Subscribe to be the first to hear the best new independent music! http://bit.ly/145fFnx ✉ Please contact alexrainbirdmusic@gmail.com if you’d like your music to be featured on my channel. Tracklist: 0:00 Plàsi -- ‘Now & Then’ https://www.facebook.com/plasimusic/ http://sptfy.com/1ojH Download: http://apple.co/2o5YPPH 2:59 Chase McBride -- ‘Days Move Easy’ https://www.facebook.com/ChaseMcBrideMusic/ http://sptfy.com/1ojI Download: http://apple.co/2ooSHnx 5:27 Willy Poldd -- 'To Just Sail Away’ https://www.facebook.com/WillyPoldd/ http://sptfy.com/YiP Download: http://apple.co/2ozrT6b 8:43 Joel Ansett -- ‘Give Our Hearts Some Weight’ https://www.facebook.com/JoelAnsettMusic/ http://sptfy.com/YiQ Download: http://apple.co/2o65eKA 12:24 Chloe Jane -- 'Photographs' https://www.facebook.com/chloejanemusic http://sptfy.com/1ojL Download: http://apple.co/2o63Sja 15:57 August and After -- 'Halley’ https://www.facebook.com/augustandaftermusic/ http://sptfy.com/1ojM Download: http://apple.co/2p6xvFn 19:58 MaJLo -- ‘Worry’ https://www.facebook.com/MaJLomusic/ http://sptfy.com/YiV Download: http://apple.co/2oYec1D 24:36 Land Of Trees -- ‘Don’t Be A Fool’ https://www.facebook.com/LandOfTreesMusic/ http://sptfy.com/yi2 Download: http://apple.co/2oth7hf 27:10 Long For The Coast -- ‘Restless’ https://www.facebook.com/longforthecoast/ http://sptfy.com/yi3 Download: http://apple.co/2ptUIOj 29:53 East Love -- ‘Left My Love’ https://www.facebook.com/eastloveband/ http://sptfy.com/1ojS Download: http://apple.co/2p8WyoL 33:34 Toledo -- ‘King Of Spain’ https://www.facebook.com/toledomusicofficial https://soundcloud.com/toledo_music Download: N/A 37:00 Daniel Trakell -- ‘Paradise’ https://www.facebook.com/daniel.trakell/ http://sptfy.com/Yj2 Download: http://apple.co/2o6vqoj 40:59 Water Color Weekend -- 'Crescent' https://www.facebook.com/WaterColorWeekendOfficial/ http://sptfy.com/Yj7 Download: http://apple.co/2nFmMly 44:00 Marcus Alexander -- 'Goodbye' https://www.facebook.com/marcusalx/ https://soundcloud.com/mar_alx Download: https://itunes.apple.com/us/album/bedroom-poetry-feat.-paulina/id1141309829 47:04 Ben Zaidi -- 'Ivory.' https://www.facebook.com/benzaidimusic/ http://sptfy.com/Yj8 Download: http://apple.co/2puHxNd 50:06 Scott Orr -- 'Always Everything' https://www.facebook.com/scottorrmusic/ http://sptfy.com/Yj9 Download: http://apple.co/2nFxwAu 53:05 Land Of Trees -- 'Patient And Quiet' https://www.facebook.com/LandOfTreesMusic/ http://sptfy.com/yi2 Download: http://apple.co/2oth7hf 56:04 James Forest -- ‘Hummingbirds’ https://www.facebook.com/JamesForestmusic/ http://sptfy.com/Yja Download: http://apple.co/2p9nPHp 1:00:24 Randy Rhymes -- 'For Tonight' https://www.facebook.com/rhymsofficial http://sptfy.com/1P2o Download: N/A 1:03:51 Sandtimer -- ‘Get On Your Skates’ https://www.facebook.com/sandtimermusic/ http://sptfy.com/Yjm Download: http://apple.co/2o7dL0O Find alexrainbirdMusic on: Official website: http://www.alexrainbirdmusic.com/ Facebook: https://www.facebook.com/alexrainbirdMusic Twitter: https://twitter.com/alxrnbdMusic Spotify: https://open.spotify.com/user/alxrnbrdmusic/playlist/3fXgOc95i2oevn5jdK0JAY Soundcloud: https://soundcloud.com/alexrainbirdmusic Instagram: https://instagram.com/alexrainbirdmusic/ Snapchat: alx_rnbrd Patreon (to raise money for a music festival! ): https://www.patreon.com/alexrainbirdMusic Vlog channel: https://www.youtube.com/channel/UCEJul3P9FgGr4LQ9mhG9mJg Official merchandise: https://www.teepublic.com/user/alexrainbirdmusic About alexrainbirdMusic: Since 2011, Alex Rainbird has been hunting down and showcasing the very best in independent music. Featuring over 50 new artists a month, Alex hopes to provide a platform for underrated musicians to be heard and for viewers to find their new favourite band. Join Alex's +200,000 subscribers today to be the first to hear the finest independent music! 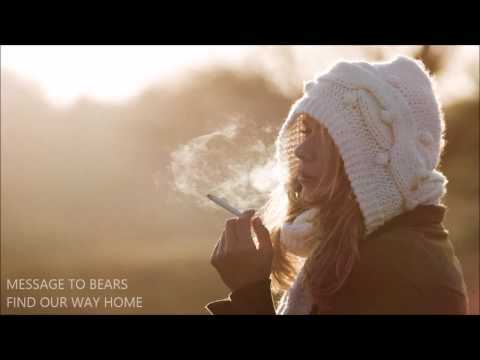 Listen to some of the best indie music, perfect for Autumn/Fall!. Tracklist below… Subscribe to be the first to hear the best new independent music! 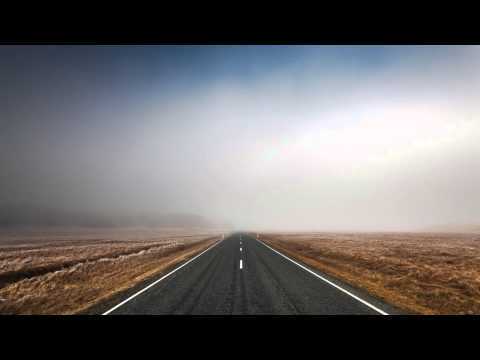 http://bit.ly/145fFnx Please contact alexrainbirdmusic@gmail.com if you’d like your band to be featured on my channel. Tracklist: 0:00 Coyote -- ‘Kids’ http://www.coyotela.com http://www.facebook.com/followcoyote http://www.soundcloud.com/followcoyote http://www.youtube.com/followcoyote 4:28 Nazca -- ‘Always You’ https://www.facebook.com/musicnazca https://soundcloud.com/musicnazca-1 7:44 Edwin Raphael -- 'Queen of Coasts’ https://www.facebook.com/Edwinrphl https://soundcloud.com/edwin-raphael Download: http://amzn.to/1LutJKw 12:08 Alexander -- ‘Four AM’ https://www.facebook.com/followalexander https://soundcloud.com/wearealexander Download: http://amzn.to/1jbHuTd 15:35 Charlion -- 'Alibi' https://www.facebook.com/charlionofficial https://soundcloud.com/charlion Instagram - @charlionofficial 19:03 Katie & I -- 'Bones’ https://www.facebook.com/katieandiofficial https://soundcloud.com/katie-and-i 23:37 Varjen -- ‘Horses’ https://www.facebook.com/Varjen https://soundcloud.com/varjen Download: http://amzn.to/1Fg3iXR 26:46 Manganas Garden -- ‘Stuck In Nostalgia’ https://www.facebook.com/ManganasGarden https://soundcloud.com/manganas-garden Download: http://amzn.to/1KApOqk 29:56 Alex L’Estrange -- ‘Reconsider’ https://www.facebook.com/alexlestrangemusic https://soundcloud.com/alexlestrange 33:05 Air Traffic Controller -- ‘On The Wire’ https://www.facebook.com/atcmusic https://soundcloud.com/air-traffic-controller 36:51 Shapes On Tape -- ‘Still Believe In Love’ https://www.facebook.com/shapesontape https://soundcloud.com/shapesontape 41:06 Fran Pitcher -- ‘She Reminds Me of the 80’s’ https://www.facebook.com/FranPitcherOfficial https://itunes.apple.com/gb/album/lions-eyes-ep/id1038771881 Download: http://amzn.to/1LOExyP 45:13 Vincent Liou -- 'Good Energy' https://www.facebook.com/vincentlioumusic https://soundcloud.com/vincentliou Download: http://amzn.to/1NN8L9O 47:37 Richard J Aarden -- ‘Vagabond' https://www.facebook.com/RichardJAarden https://soundcloud.com/richardjaarden Download: http://amzn.to/1KvUCeM 50:26 The Citrus Clouds -- 'Nature' https://www.facebook.com/TheCitrusClouds https://soundcloud.com/thecitrusclouds 55:13 Manganas Garden -- 'Get You Up' https://www.facebook.com/ManganasGarden https://soundcloud.com/manganas-garden Download: http://amzn.to/1ixd25j 58:47 Van Damsel -- ‘Best of Everything’ https://www.facebook.com/vandamselmusic https://soundcloud.com/van-damsel Download: http://amzn.to/1jc30r3 1:02:33 Augustus -- ‘Cursive’ https://www.facebook.com/AugustusBand https://soundcloud.com/augustusband Download: http://amzn.to/1LxjpBg Find alexrainbirdMusic on: Official website: http://www.alexrainbirdmusic.com/ Facebook: https://www.facebook.com/alexrainbirdMusic Twitter: https://twitter.com/alxrnbdMusic Spotify: https://play.spotify.com/user/alxrnbrdmusic/playlist/5kiNj8BLGBfKLwASSxLu2U Soundcloud: https://soundcloud.com/alexrainbirdmusic Instagram: https://instagram.com/alexrainbirdmusic/ Official merchandise - US & worldwide customers: http://shop.spreadshirt.com/alexrainbirdMusic/ UK customers: http://shop.spreadshirt.co.uk/alexrainbirdmusic About alexrainbirdMusic: Since 2011, Alex Rainbird has been hunting down and showcasing the very best in independent music. Featuring over 45 new artists a month, Alex hopes to provide a platform for underrated musicians to be heard and for viewers to find their new favourite band. Join Alex's +42,000 subscribers today to be the first to hear the finest independent music. 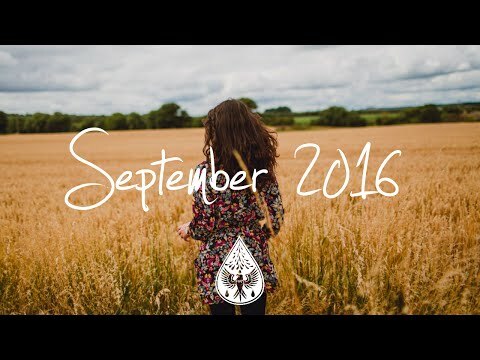 Watch the leaves fall with best indie-folk music in our autumn compilation! Tracklist & download below… 👇 LISTEN ON SPOTIFY: https://spoti.fi/2MWvio8 » Subscribe to be the first to hear the best new independent music! http://bit.ly/145fFnx ✉ Please contact alexrainbirdmusic@gmail.com if you’d like your music to be featured on our channel. 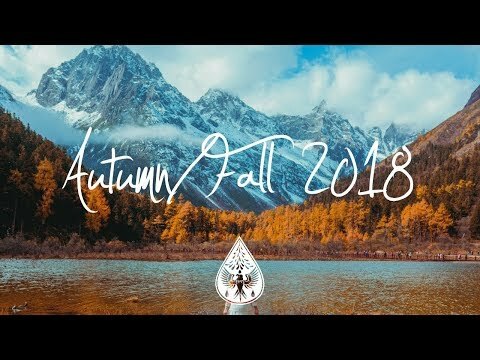 🎵 DOWNLOAD THIS COMPILATION: http://hyperurl.co/IndieFolkAutumn18 💿 Tracklist: 0:00 Children of Indigo -- ‘Magnum’ https://spoti.fi/2NTAtJH https://www.facebook.com/childrenofindigoband/ Download: http://hyperurl.co/IndieFolkAutumn18 2:58 George Ogilvie -- ‘Surveillance’ https://spoti.fi/2Np116b https://www.facebook.com/georgeogilvieofficial/ Downloads: https://apple.co/2Dky7Qm 6:59 Will Killen -- 'In My Arms’ https://spoti.fi/2PP1ifI https://www.facebook.com/willkillenmusic/ Download: http://hyperurl.co/IndieFolkAutumn18 9:50 Handkerchief Thief -- ‘Blood Is Red’ https://spoti.fi/2xpt5MK https://www.facebook.com/handkerchiefthiefmusic/ Download: http://hyperurl.co/IndieFolkAutumn18 13:37 FINNEAS -- 'Life Moves On’ https://spoti.fi/2xl4AAs https://www.facebook.com/FINNEASOFFICIAL/ Download: https://apple.co/2PPC1BY 17:39 Michael Baker -- 'Half My Love’ https://spoti.fi/2Dd31dj https://www.facebook.com/michaelbakermusic/ Download: http://hyperurl.co/IndieFolkAutumn18 21:29 The Native -- ‘Halfway House’ https://spoti.fi/2xlWpng https://www.facebook.com/wearethenativeofficial/ Download: https://apple.co/2MLMqwH 23:42 Danny Starr -- ‘Double Red Line’ https://spoti.fi/2QJ4smv https://www.facebook.com/dannyjamesstarr/ Download: http://hyperurl.co/IndieFolkAutumn18 26:45 RYVOLI -- ‘Sleep Talking’ https://spoti.fi/2OzrpqA https://www.facebook.com/ryvoli/ Download: http://hyperurl.co/IndieFolkAutumn18 30:42 Matt Spicer -- ‘Build You a Home’ https://spoti.fi/2ODBsLg https://www.facebook.com/mattspicermusic/ Download: http://hyperurl.co/IndieFolkAutumn18 35:04 Edward and Jane -- ‘Hold Your Own’ https://spoti.fi/2QJ6uD9 https://www.facebook.com/edwardandjaneband/ Download: https://apple.co/2xowgV5 38:45 Freyr -- ‘Over My Head’ https://spoti.fi/2PTkOrx https://www.facebook.com/freyrmusic/ Download: https://apple.co/2PMo73q 41:46 Awolk -- ‘Open Doors’ https://spoti.fi/2xuAz1l https://www.facebook.com/awolkmusic/ Download: http://hyperurl.co/IndieFolkAutumn18 45:39 William Fitzsimmons -- 'Distant Lovers’ https://spoti.fi/2D80elz https://www.facebook.com/williamfitzsimmons/ Download: https://apple.co/2QFBW57 48:53 Will Dailey -- ‘Ultimate Companion (feat. Tanya Donelly) ’ https://spoti.fi/2MO3Wk1 https://www.facebook.com/willdailey/ Download: http://hyperurl.co/IndieFolkAutumn18 52:05 Ben Stitt -- ‘Fade’ https://spoti.fi/2xl7JjK https://www.facebook.com/BenStittMusic/ Download: http://hyperurl.co/IndieFolkAutumn18 56:13 Arbour Season -- ‘When I Get There’ https://spoti.fi/2NrojIT https://www.facebook.com/arbourseason/ Download: http://hyperurl.co/IndieFolkAutumn18 1:00:56 Reddening West -- ‘Even If’ https://spoti.fi/2NmXwNH https://www.facebook.com/reddeningwest/ Download: http://hyperurl.co/IndieFolkAutumn18 1:04:54 Jacob Cook -- ‘It’ll Be Fine’ https://spoti.fi/2NWFMIk https://www.youtube.com/channel/UCMpy99_slJafIUhAYI8RtKw Download: http://hyperurl.co/IndieFolkAutumn18 1:09:19 Alexander Wolfe -- ‘Oslo’ https://spoti.fi/2plDhlh https://www.facebook.com/alexanderwolfemusic/ Download: http://hyperurl.co/IndieFolkAutumn18 1:13:42 Vikki Gilmore -- ‘Someone’ https://spoti.fi/2D9f9Ms https://www.facebook.com/vikkigilmusic/ Download: http://hyperurl.co/IndieFolkAutumn18 1:17:13 James Bloom -- ‘Omniscient’ https://spoti.fi/2Daj0sl https://www.facebook.com/Jamesbloommusic/ Download: http://hyperurl.co/IndieFolkAutumn18 1:20:49 Bjear -- ‘Nevada’ https://spoti.fi/2DdxN5F https://www.facebook.com/bjear/ Download: https://apple.co/2xwSzak 1:25:26 Connor McCoy -- ‘Gold Mine’ https://spoti.fi/2OCJUL1 https://www.facebook.com/connormccoymusic/ Download: http://hyperurl.co/IndieFolkAutumn18 🎵 DOWNLOAD THIS COMPILATION: http://hyperurl.co/IndieFolkAutumn18 🌧️ 🐦 Find alexrainbirdMusic on: Official website: http://www.alexrainbirdmusic.com/ Spotify: https://open.spotify.com/user/alxrnbrdmusic/playlist/2gCHaXDsqqmjpec20FN5Lc Facebook: https://www.facebook.com/alexrainbirdMusic Patreon: https://www.patreon.com/alexrainbirdMusic Twitter: https://twitter.com/alxrnbdMusic Soundcloud: https://soundcloud.com/alexrainbirdmusic Instagram: https://instagram.com/alexrainbirdmusic/ 👕 Official merchandise: https://www.teepublic.com/stores/alexrainbirdmusic ❓ About alexrainbirdMusic: Since 2011, Alex Rainbird has been hunting down and showcasing the very best in independent music. Joined by his girlfriend Beth as of 2017, the couple feature over 70 new artists a month, and hope to provide a platform for underrated musicians to be heard and for viewers to find their new favourite band. Join their +470,000 subscribers today to be the first to hear the finest independent music! Enjoy the last of the summer sun with an hour of the best indie music. Tracklist and download below… DOWNLOAD: http://hyperurl.co/AugustIndieDL Subscribe to be the first to hear the best new independent music! http://bit.ly/145fFnx Please contact alexrainbirdmusic@gmail.com if you’d like your music to be featured on my channel. DOWNLOAD THIS COMPILATION: http://hyperurl.co/AugustIndieDL Tracklist: 0:00 Kid Runner -- ‘Give Me Something To Love’ https://www.facebook.com/KidRunner/ https://soundcloud.com/kidrunner Download: http://prourls.co/gG1q 3:03 Port Cities -- ‘Back To The Bottom’ https://www.facebook.com/portcities https://soundcloud.com/portcities Download: http://prourls.co/XLM9 6:18 Sutherland -- 'We Are The Love’ https://www.facebook.com/SutherlandBandSA/ https://soundcloud.com/sutherlandband Download: http://hyperurl.co/AugustIndieDL 9:40 The Hollow Men -- ‘Cold War’ https://www.facebook.com/thehollowmens https://soundcloud.com/thehollowmens Download: http://hyperurl.co/AugustIndieDL 13:20 The Runaway Club -- 'Somewhere Warm' https://www.facebook.com/therunawayclub/ https://soundcloud.com/therunawayclub Download: http://hyperurl.co/AugustIndieDL 16:55 Zeke Finn -- 'Love Song’ https://www.facebook.com/zekefinnmusic/ https://soundcloud.com/zekefinnmusic Download: http://hyperurl.co/AugustIndieDL 21:05 August and After -- ‘Vancouver Waves’ https://www.facebook.com/augustandaftermusic/ https://soundcloud.com/augustandafter Download: http://hyperurl.co/AugustIndieDL 24:28 Kahone Concept -- ‘BOXES’ https://www.facebook.com/KahoneConcept https://soundcloud.com/kahoneconcept Download: http://hyperurl.co/AugustIndieDL 28:36 Mos Isley -- ‘Where Do We Go’ https://www.facebook.com/wearemosisley https://soundcloud.com/mos-isley Download: http://prourls.co/o0Xu 32:25 Mountains of the Moon -- ‘How I Leapt From The Stratosphere’ https://www.facebook.com/mtnsofthemoon https://soundcloud.com/mountainsofthemoon Download: http://hyperurl.co/AugustIndieDL 36:23 Richard Readey -- ‘What You Are’ http://www.youtube.com/c/richardreadey https://www.facebook.com/RickReadey https://soundcloud.com/richardreadey Download: http://hyperurl.co/AugustIndieDL 40:03 Fialta -- ‘Give Up Your Ghosts’ https://www.facebook.com/fialta https://soundcloud.com/fialtamusic Download: http://azon.ly/Fialta 44:29 Logan Thomas -- 'Beautiful Mess' https://www.facebook.com/loganthomasromberger/ http://soundcloud.com/loganthomasromberger Download: http://hyperurl.co/AugustIndieDL 47:16 H O M E -- ‘Just Coffee (ft. Syster Björk)’ https://www.facebook.com/homeplaysmusic/ https://www.instagram.com/homeplaysmusic/ https://soundcloud.com/homeplaysmusic https://open.spotify.com/artist/1BjyKAULRt99m3BzhsS9nZ Download: https://soundcloud.com/homeplaysmusic/just-coffee-ft-syster-bjork 49:56 Say Say. -- 'Summer Girl' https://www.facebook.com/SaySaymusic/ https://soundcloud.com/say-say-band Download: https://itunes.apple.com/us/album/summer-girl-single/id1118192478 53:28 Yalta Club -- 'Exile' https://www.facebook.com/YaltaClubMusic/ https://open.spotify.com/album/0bqJwcNIJLJnQ80i5q728C Download: http://hyperurl.co/AugustIndieDL 59:34 Nowhere -- ‘Gone’ https://www.facebook.com/nowhererock http://nowhererock.bandcamp.com/releases Download: http://hyperurl.co/AugustIndieDL 1:02:21 Carly Miller -- ‘The Truth Hurts Now’ http://www.carlymillermusic.com/ https://soundcloud.com/carly-miller Download: http://hyperurl.co/AugustIndieDL 1:05:37 Cinders -- ‘Moody Blues’ https://www.facebook.com/cindersmusic/ http://www.cindersmusic.com/ https://open.spotify.com/artist/3kbFTAkkC68vVXA87WHDS4 Download: http://hyperurl.co/z319du 1:09:12 The Hollow Men -- ‘Carry On’ https://www.facebook.com/thehollowmens https://soundcloud.com/thehollowmens Download: http://hyperurl.co/AugustIndieDL 1:12:37 Sam Winston -- ‘Cherry Sweet’ https://www.facebook.com/samwinstonmusic/ https://soundcloud.com/sam-winston Download: http://hyperurl.co/AugustIndieDL DOWNLOAD THIS COMPILATION: http://hyperurl.co/AugustIndieDL Find alexrainbirdMusic on: Official website: http://www.alexrainbirdmusic.com/ Facebook: https://www.facebook.com/alexrainbirdMusic Twitter: https://twitter.com/alxrnbdMusic Spotify: https://play.spotify.com/user/alxrnbrdmusic/playlist/5kiNj8BLGBfKLwASSxLu2U Soundcloud: https://soundcloud.com/alexrainbirdmusic Instagram: https://instagram.com/alexrainbirdmusic/ Snapchat: alx_rnbrd Official merchandise - Worldwide store: http://shop.spreadshirt.com/alexrainbirdMusic/ About alexrainbirdMusic: Since 2011, Alex Rainbird has been hunting down and showcasing the very best in independent music. Featuring over 50 new artists a month, Alex hopes to provide a platform for underrated musicians to be heard and for viewers to find their new favourite band. Join Alex's +100,000 subscribers today to be the first to hear the finest independent music! 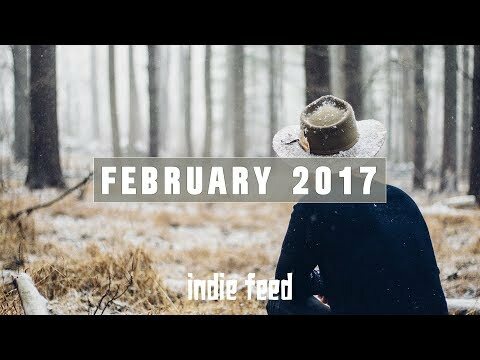 Discover the best new indie-folk music for winter 2017! Tracklist & download below… LISTEN ON SPOTIFY: http://spoti.fi/2hw0UXO » Subscribe to be the first to hear the best new independent music! http://bit.ly/145fFnx ✉ Please contact alexrainbirdmusic@gmail.com if you’d like your music to be featured on my channel. 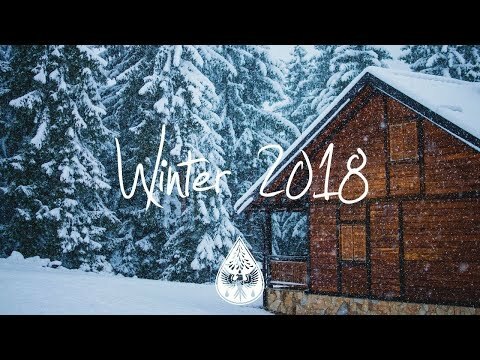 DOWNLOAD THIS COMPILATION: http://hyperurl.co/WinterFolk17 Tracklist: 0:00 Ian Randall Thornton -- ‘Do You Rise’ http://spoti.fi/2zddS3G https://www.facebook.com/ianrandallthornton/ Download: http://apple.co/2lOhweM 3:31 Andrew Galucki -- ‘I Know The Way Home’ http://spoti.fi/2hEqZB5 https://www.facebook.com/andrewgaluckimusic/ Download: http://apple.co/2itoocx 6:49 Harrison Storm -- 'Old and Grey’ http://spoti.fi/1NAQ2LX https://www.facebook.com/harrisonstormmusic/ Download: http://apple.co/2xXku27 11:00 William Wild -- ‘On An Island’ http://spoti.fi/2hD2dBh https://www.facebook.com/williamwildmusic/ Download: http://apple.co/2h2DPYP 15:21 Kalle Mattson -- 'Baby Blue' http://spoti.fi/2zenqsH https://www.facebook.com/kallemattson/ Download: http://apple.co/2lNhQKO 19:45 De Joie -- 'Oslo’ http://spoti.fi/2hasZUi https://dejoiemusic.com/ Download: http://hyperurl.co/WinterFolk17 23:33 Lists -- ‘Millie & Ivor’ http://spoti.fi/2AfKlnH https://www.facebook.com/listsmusic/ Download: http://apple.co/2hDjs5s 27:20 Lowland Hum -- ‘Friction’ http://spoti.fi/2jP62qy https://www.facebook.com/lowlandhum/ Download: http://apple.co/2zbpHVn 30:35 BAERD -- ‘Changing Man’ http://spoti.fi/2h3SuDa https://www.facebook.com/baerdmusic/ Download: http://hyperurl.co/WinterFolk17 33:52 Willolux -- ‘Rose Coloured Hue’ https://www.facebook.com/willolux/ http://spoti.fi/2tt0zWx Download: http://hyperurl.co/WinterFolk17 38:02 Safari Gold -- ‘Honey’ http://spoti.fi/2zvxFMq https://www.facebook.com/safarigoldmusic/ Download: http://hyperurl.co/WinterFolk17 42:02 Jonas Ledang -- ‘Forever’s Gone’ http://spoti.fi/2esi6IP https://www.facebook.com/jonasledang/ Download: http://hyperurl.co/WinterFolk17 45:21 Coopertheband -- 'Home' http://spoti.fi/2yKCMaN https://www.facebook.com/cooperthebandofficial/ Download: http://hyperurl.co/WinterFolk17 49:25 BATYA -- ‘What’s My Name’ http://spoti.fi/2hbpz3H https://www.facebook.com/imBATYA/ Download: http://hyperurl.co/WinterFolk17 52:21 Steve Maloney -- 'Highway Sketch' http://spoti.fi/2yurXdl https://www.facebook.com/wanderingkind/ Download: http://hyperurl.co/WinterFolk17 54:21 AIRD -- 'On A Sunday Morning' http://spoti.fi/2eR4siD https://www.facebook.com/airdmusic/ Download: http://apple.co/2haoCZz 59:09 Titus Haug -- ‘If I Let Go’ http://spoti.fi/2v6CNnK https://www.facebook.com/titushaug/ Download: http://apple.co/2AgAldI 1:03:44 Colin & Caroline -- ‘More Than Gravity’ http://spoti.fi/1LRupeN https://www.facebook.com/colinandcaroline/ Download: http://hyperurl.co/WinterFolk17 1:07:59 Kopa -- ‘Move On’ http://spoti.fi/2ziJcOb https://www.facebook.com/Kopa-390888317756321/ Download: http://hyperurl.co/WinterFolk17 1:11:30 James Walker -- ‘Weathered’ http://spoti.fi/2ziJcOb https://www.facebook.com/jameswalkermusic/ Download: http://hyperurl.co/WinterFolk17 1:15:49 Lyoki -- ‘End of Time’ http://spoti.fi/2zwzvvU https://soundcloud.com/user-744470058 Download: http://hyperurl.co/WinterFolk17 1:19:50 Harry Pane -- ‘Here We Stay’ http://spoti.fi/2j1IAWP https://www.facebook.com/harrypanemusic/ Download: http://apple.co/2ysA5v1 1:23:30 Dave Thomas Junior -- ‘When Does It Get Easier’ http://spoti.fi/2sPnlZh https://www.facebook.com/davethomasjnr/ Download: http://hyperurl.co/WinterFolk17 1:27:05 Jake Xavier -- ‘Together’ https://soundcloud.com/jakexavier Download: N/A DOWNLOAD THIS COMPILATION: http://hyperurl.co/WinterFolk17 Find alexrainbirdMusic on: Official website: http://www.alexrainbirdmusic.com/ Patreon (to raise money for a music festival! ): https://www.patreon.com/alexrainbirdMusic Facebook: https://www.facebook.com/alexrainbirdMusic Twitter: https://twitter.com/alxrnbdMusic Spotify: https://open.spotify.com/user/alxrnbrdmusic/playlist/3fXgOc95i2oevn5jdK0JAY Soundcloud: https://soundcloud.com/alexrainbirdmusic Instagram: https://instagram.com/alexrainbirdmusic/ Official merchandise: https://www.teepublic.com/user/alexrainbirdmusic About alexrainbirdMusic: Since 2011, Alex Rainbird has been hunting down and showcasing the very best in independent music. Joined by his girlfriend Beth as of 2017, the couple feature over 70 new artists a month, and hope to provide a platform for underrated musicians to be heard and for viewers to find their new favourite band. Join their +320,000 subscribers today to be the first to hear the finest independent music! 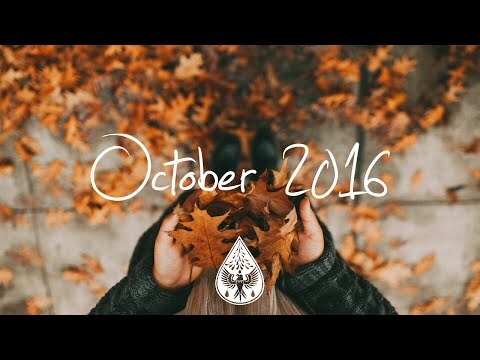 Discover the best new indie, pop & folk music in our November compilation! Tracklist & download below… 👇 LISTEN ON SPOTIFY: https://spoti.fi/2O8RsUr » Subscribe to be the first to hear the best new independent music! http://bit.ly/145fFnx ✉ Please contact alexrainbirdmusic@gmail.com if you’d like your music to be featured on our channel. 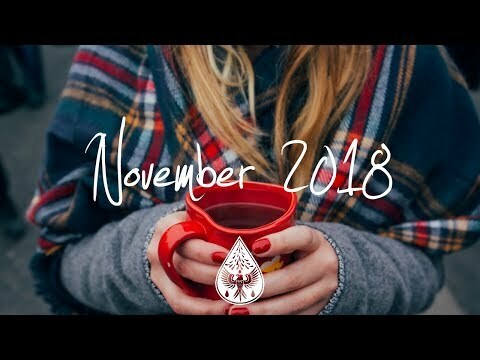 🎵 DOWNLOAD THIS COMPILATION: http://hyperurl.co/IndieNovember18 💿 Tracklist: 0:00 Changed Habits -- ‘Rainy Forgiveness’ https://spoti.fi/2ScZr6h https://www.facebook.com/changedhabitsmusic/ Download: http://hyperurl.co/IndieNovember18 3:28 Saintway -- 'Here Comes the Fire’ https://spoti.fi/2Ra9SWY https://www.facebook.com/saintwayswe/ Download: http://hyperurl.co/IndieNovember18 7:05 Covenhoven -- 'Where To Begin’ https://spoti.fi/2qbyOBL https://www.facebook.com/covenhovenband/ http://www.covenhoven.com/ Download: https://apple.co/2qaWhTT 11:58 Unknown Neighbour -- 'Island’ https://spoti.fi/2CzK6qW https://www.facebook.com/unknownneighbour/ Download: http://hyperurl.co/IndieNovember18 14:56 Cinders -- ‘Illinois’ https://spoti.fi/2D5jz5S https://www.facebook.com/cindersmusic/ Download: https://apple.co/2RkQO9r 18:51 Nearly York -- ‘Take You There’ https://spoti.fi/2ApeO4y https://www.facebook.com/NearlyYorkMusic/ Download: http://hyperurl.co/IndieNovember18 22:02 Alyssa Frost -- ‘Rain Check’ https://spoti.fi/2Jd2dV2 https://www.facebook.com/AlyssaFrostOfficial/ Download: http://hyperurl.co/IndieNovember18 25:22 Toby Johnson -- ‘Mississippi’ https://spoti.fi/2ApOpE3 https://www.facebook.com/TobyJohnsonMusic/ Download: https://apple.co/2SgmvBk 30:16 Alex Di Leo -- ‘All My Life’ https://spoti.fi/2PllhG5 https://www.facebook.com/Alexdileomusic/ Download: http://hyperurl.co/IndieNovember18 34:11 The Collection -- ‘The Silence’ https://spoti.fi/2PhLkOt https://www.facebook.com/theCollectionMusic/ Download: http://hyperurl.co/IndieNovember18 38:21 Nature in the City -- ‘Come Along’ https://spoti.fi/2yYMwME https://www.facebook.com/natureinthecitymusic/ Download: http://hyperurl.co/IndieNovember18 41:46 Michigan Rattlers -- 'Evergreen’ https://spoti.fi/2qa74NY https://www.facebook.com/michiganrattlers/ Download: https://apple.co/2EEYFfu 45:52 Evan Crommett -- ‘Watermark’ https://spoti.fi/2SffIri https://www.facebook.com/evancrommett/ Download: http://hyperurl.co/IndieNovember18 48:25 Martin Baltser -- ‘Lie’ https://spoti.fi/2JcRKsR https://www.facebook.com/martinbaltser/ Download: https://apple.co/2yAmL5L 52:10 Amy Jay -- ‘Grief’ https://spoti.fi/2PSTKZy https://www.facebook.com/AmyJayMusic/ Download: http://hyperurl.co/IndieNovember18 56:21 Snow Coats -- ‘Seventeen’ https://spoti.fi/2NZxSdf https://www.facebook.com/snowcoats/ Download: http://hyperurl.co/IndieNovember18 59:31 Ed Whicher -- ‘Something New’ https://spoti.fi/2O3V0r1 https://www.facebook.com/edwhichermusic/ Download: http://hyperurl.co/IndieNovember18 1:02:51 Stewart McKee -- ‘Tennessee’ https://spoti.fi/2D3FCdr https://www.facebook.com/stewartmckeemusic/ Download: http://hyperurl.co/IndieNovember18 1:06:56 Paden -- ‘Don’t Hold Back’ https://spoti.fi/2z3g0Jk https://www.facebook.com/padenmusic/ Download: http://hyperurl.co/IndieNovember18 1:10:25 Land of Trees -- ‘Wildest of Thoughts’ https://spoti.fi/2EIvUPg https://www.facebook.com/LandOfTreesMusic/ Download: http://hyperurl.co/IndieNovember18 1:13:55 The Dylan Hartigan Project -- ‘Happy Ever After’ https://spoti.fi/2Pehbjd https://www.facebook.com/TheDylanHartigan/ Download: http://hyperurl.co/IndieNovember18 1:18:25 Sun Brother -- ‘Below Smoke’ https://spoti.fi/2OJZxEh https://www.facebook.com/sunbrotha/ Download: http://hyperurl.co/IndieNovember18 1:21:07 Anna & Jordan -- ‘Darling’ https://spoti.fi/2Poosgs https://www.facebook.com/annaandjordan/ Download: http://hyperurl.co/IndieNovember18 1:23:48 James Forest -- ‘September Rain’ https://spoti.fi/2Sdamgl https://www.facebook.com/JamesForestmusic/ Download: http://hyperurl.co/IndieNovember18 🎵 DOWNLOAD THIS COMPILATION: http://hyperurl.co/IndieNovember18 🌧️ 🐦 Find alexrainbirdMusic on: Official website: http://www.alexrainbirdmusic.com/ Spotify: https://open.spotify.com/user/alxrnbrdmusic/playlist/2gCHaXDsqqmjpec20FN5Lc Facebook: https://www.facebook.com/alexrainbirdMusic Patreon: https://www.patreon.com/alexrainbirdMusic Twitter: https://twitter.com/alxrnbdMusic Soundcloud: https://soundcloud.com/alexrainbirdmusic Instagram: https://instagram.com/alexrainbirdmusic/ 👕 Official merchandise: https://www.teepublic.com/stores/alexrainbirdmusic ❓ About alexrainbirdMusic: Since 2011, Alex Rainbird has been hunting down and showcasing the very best in independent music. Joined by his girlfriend Beth as of 2017, the couple feature over 70 new artists a month, and hope to provide a platform for underrated musicians to be heard and for viewers to find their new favourite band. Join their +500,000 subscribers today to be the first to hear the finest independent music!